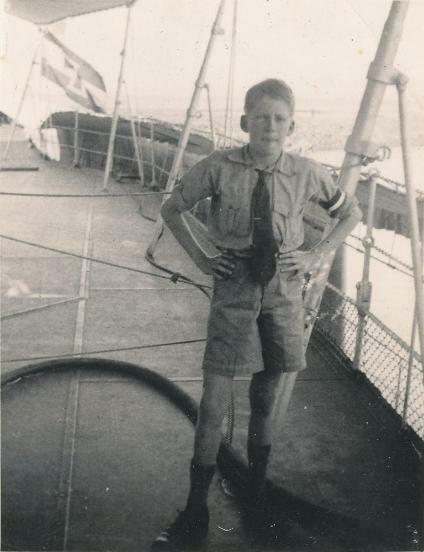 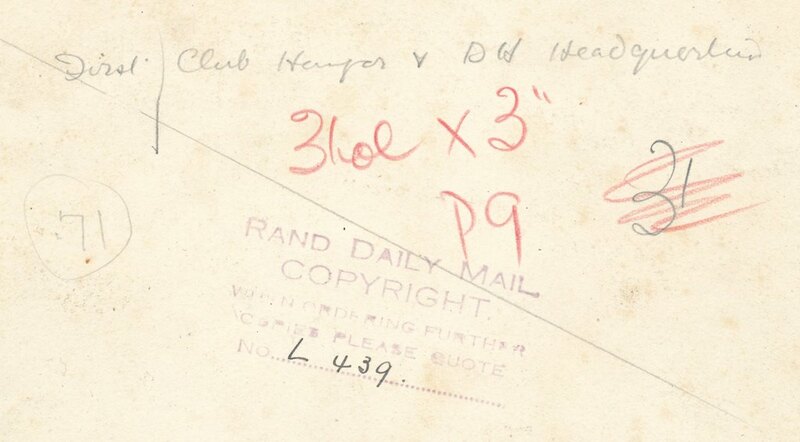 1) 13 Year old Fritz as a HJ member on board the German ship "Hemden" when it visited Cape Town. 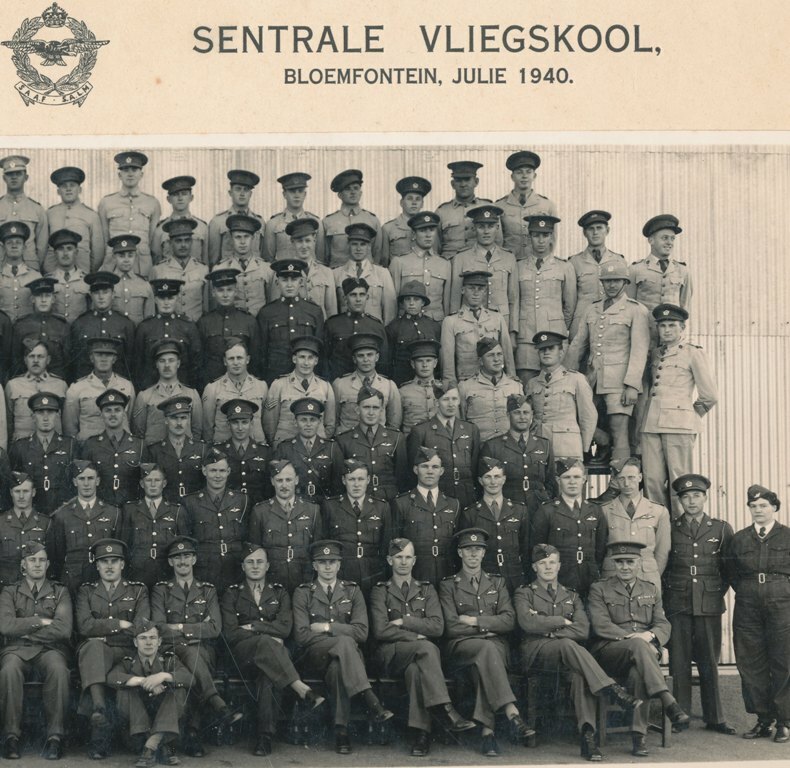 During this event Fritz obtained an award directly from Adm. Doenitz. 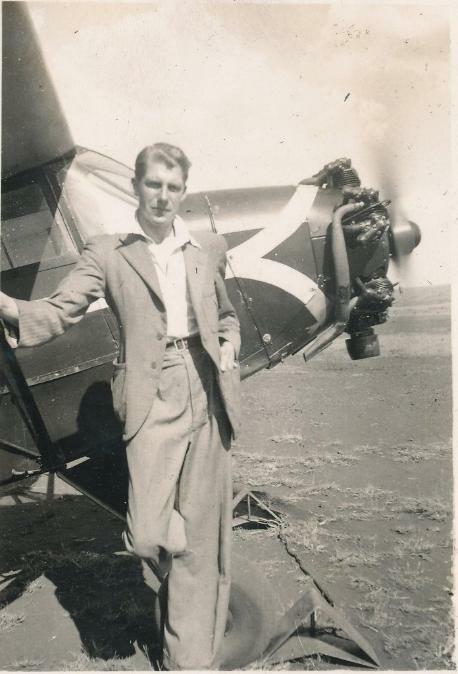 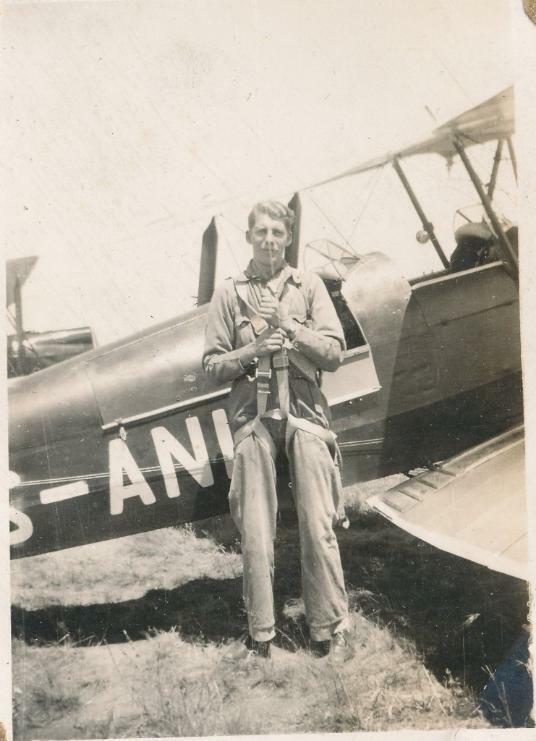 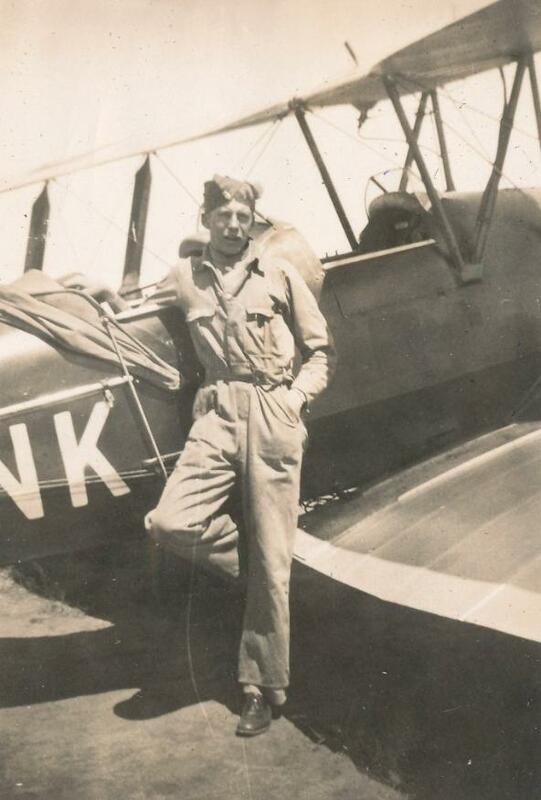 2 Roberts Heights 1940, Fritz as a pupil pilot standing in front of a Hawker Hart aircraft. 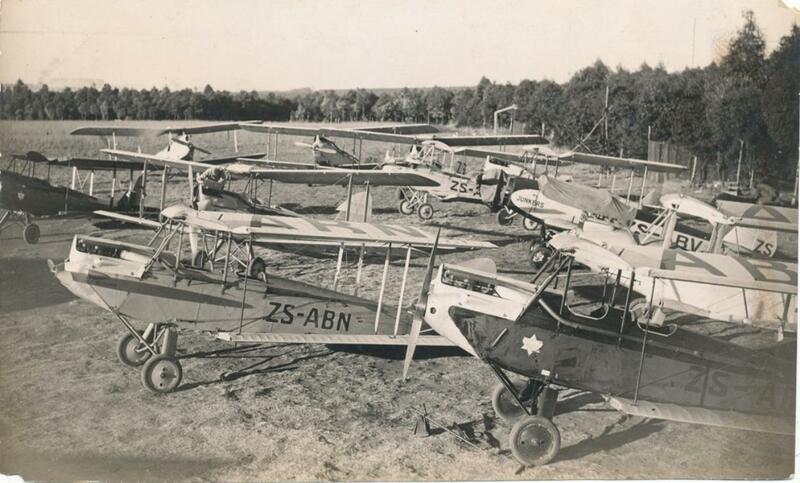 8 Union buildings in Pretoria from the seat of a Hart. 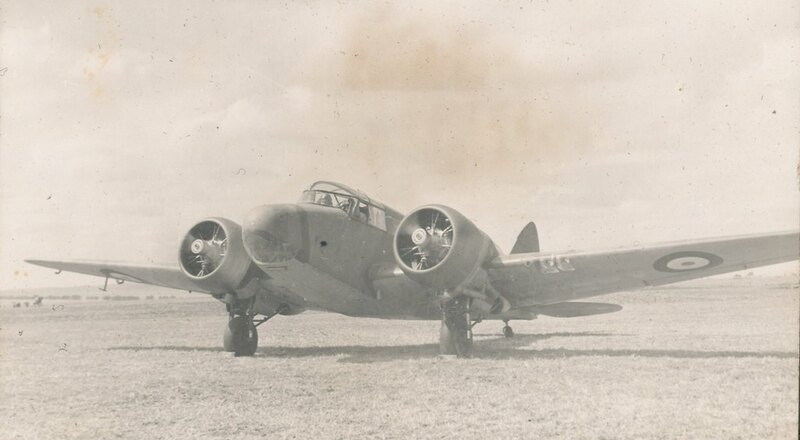 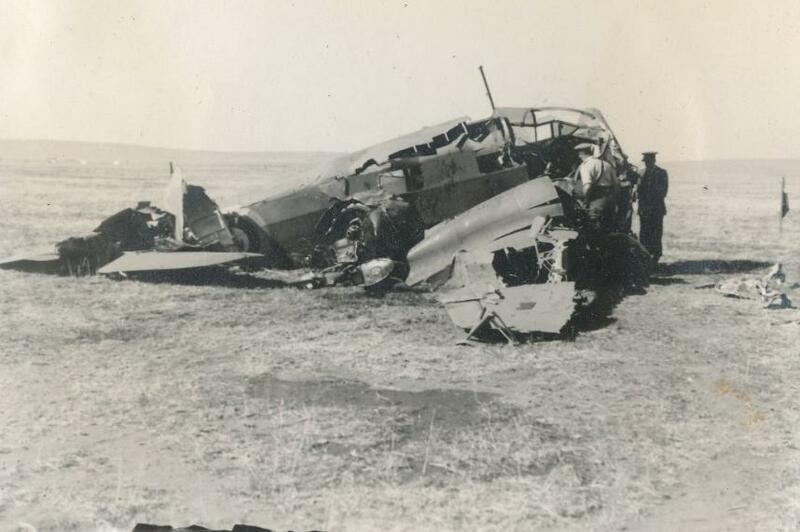 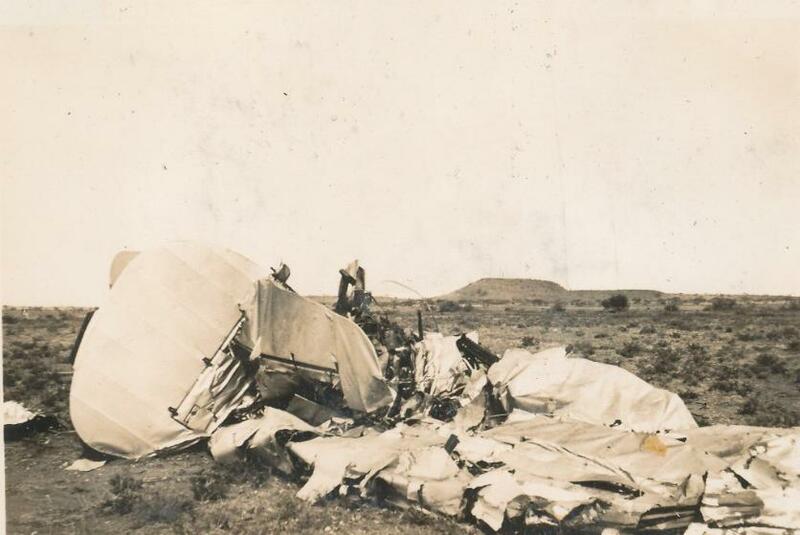 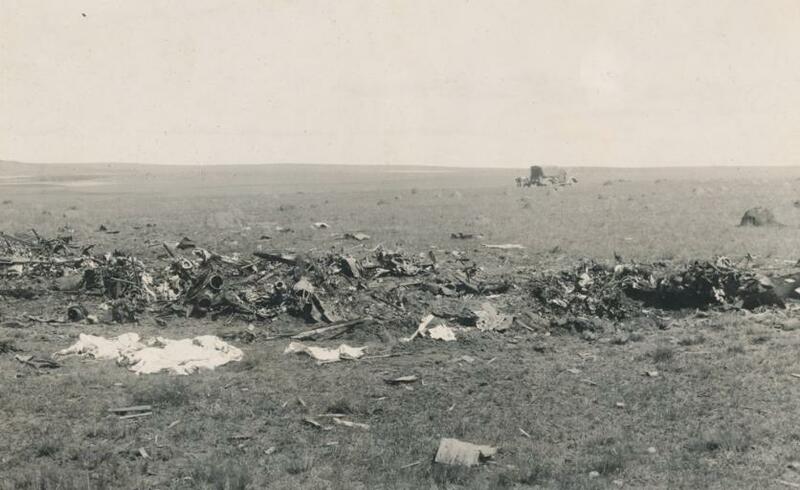 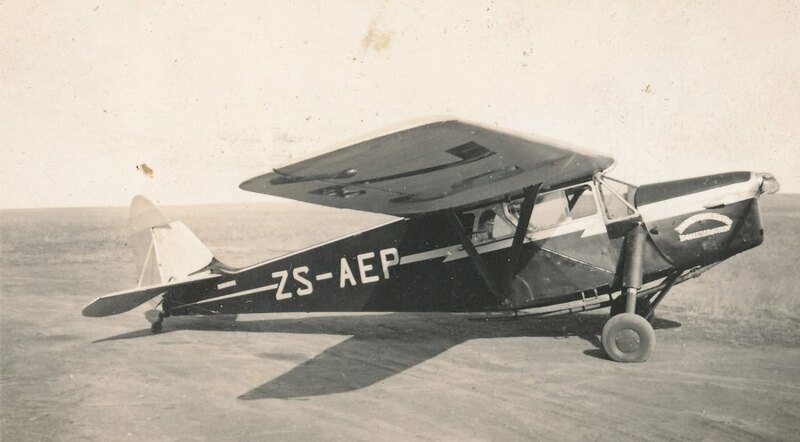 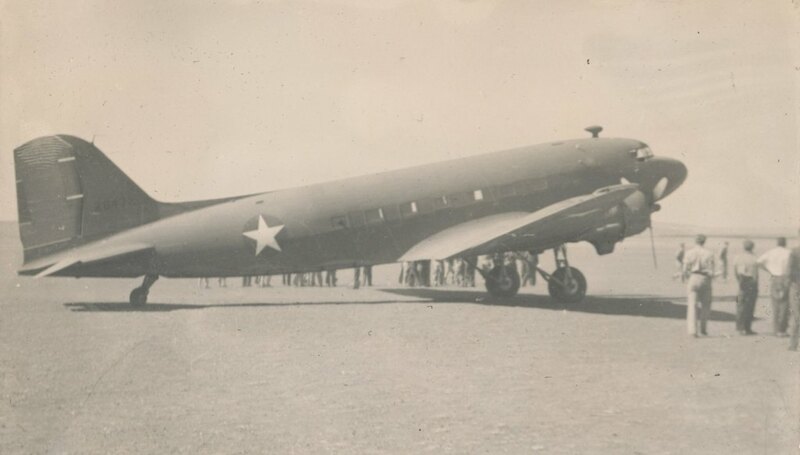 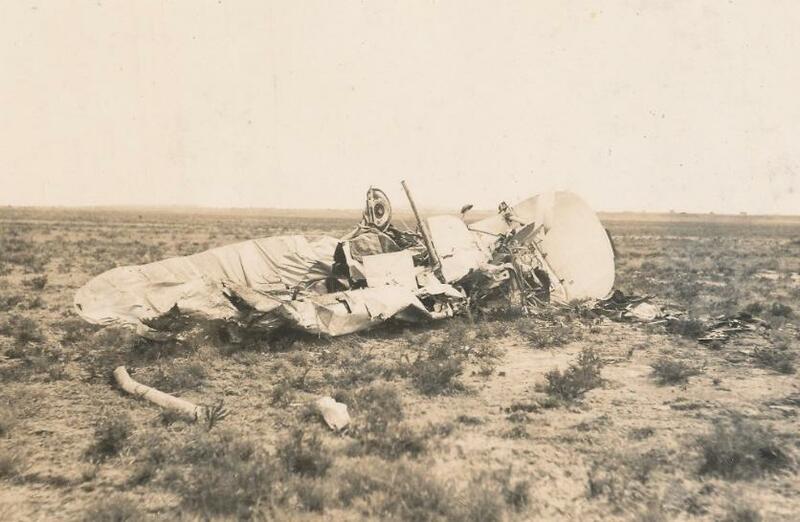 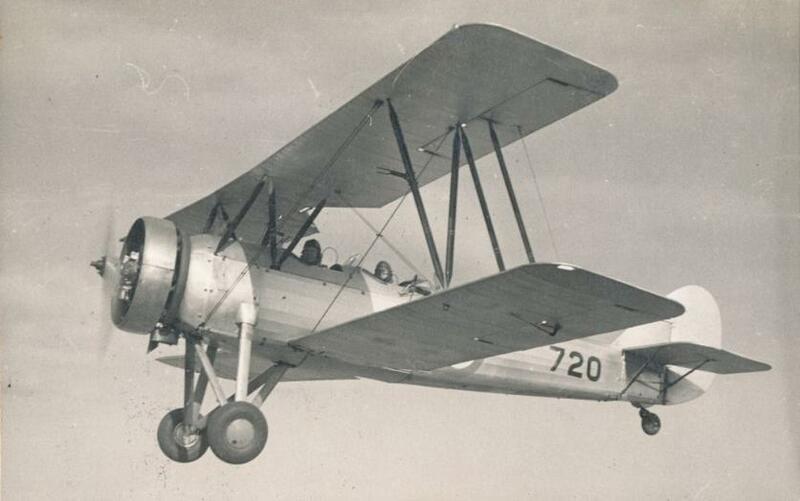 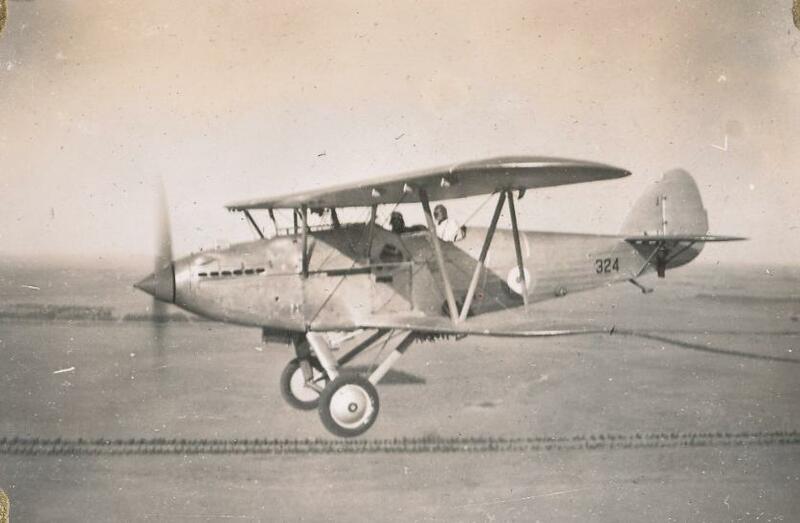 9 Erasmus; Ryan aircraft with Menasco engine, Erasmus got killed as a pupil pilot in a bird strike flying accident at Wonderboom aerodrome 1940. 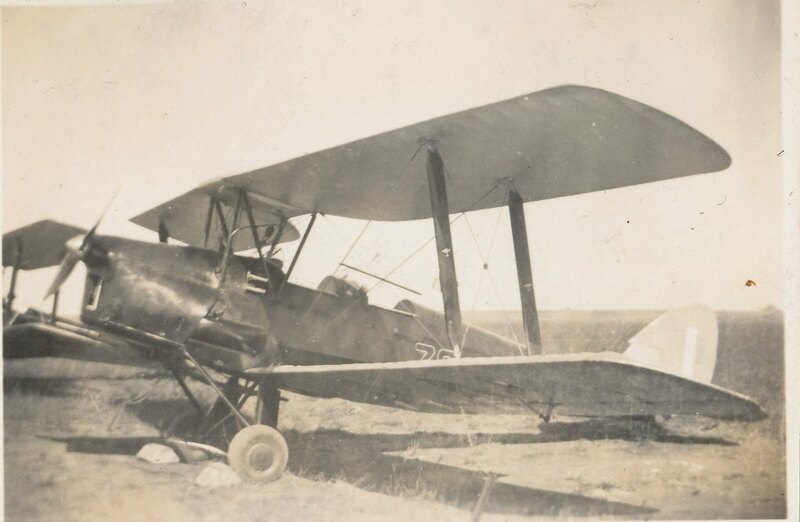 12 Bucher Jungmann; brought into South Africa by Jewish pilots who flew with Hermann Goering in ww1 in the von Richthoven squadron. 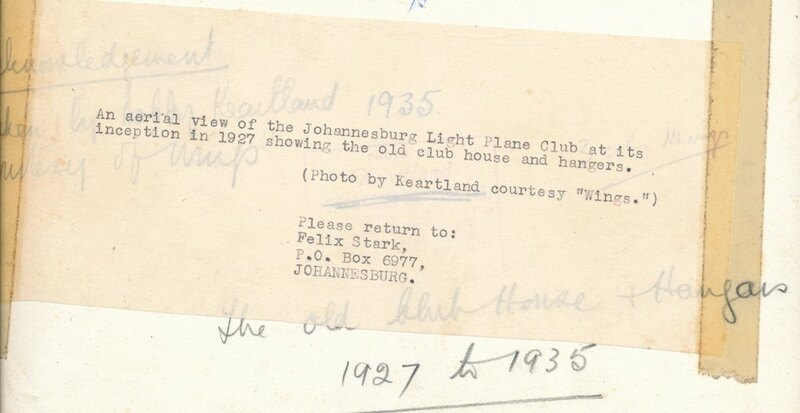 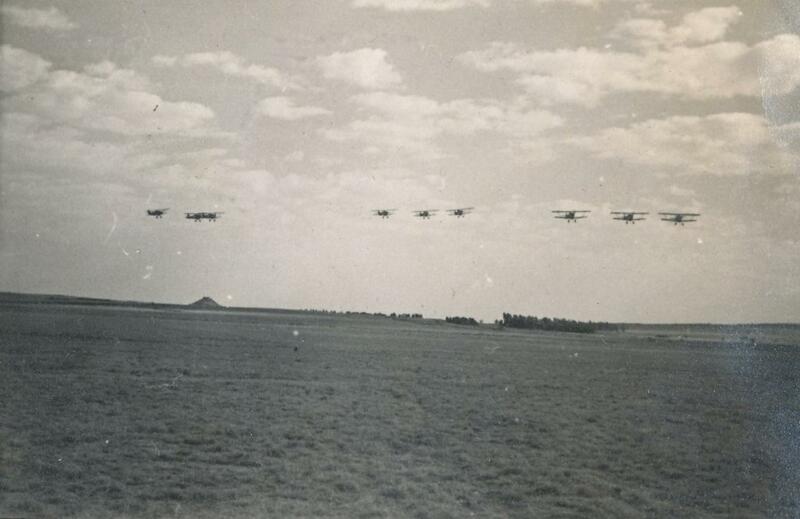 Goering tipped them and see off that they safely left Germany to relocate in South Africa before the war. 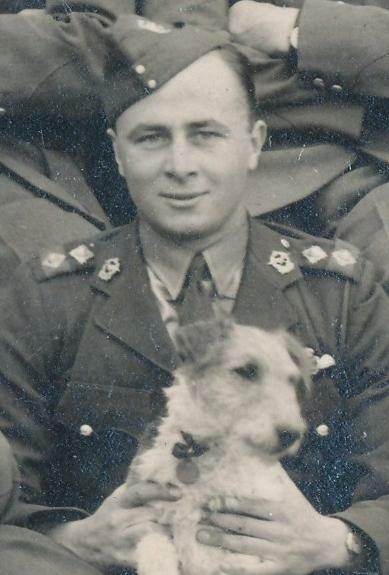 Rosenthal and Katzenstein were the 2 chaps. 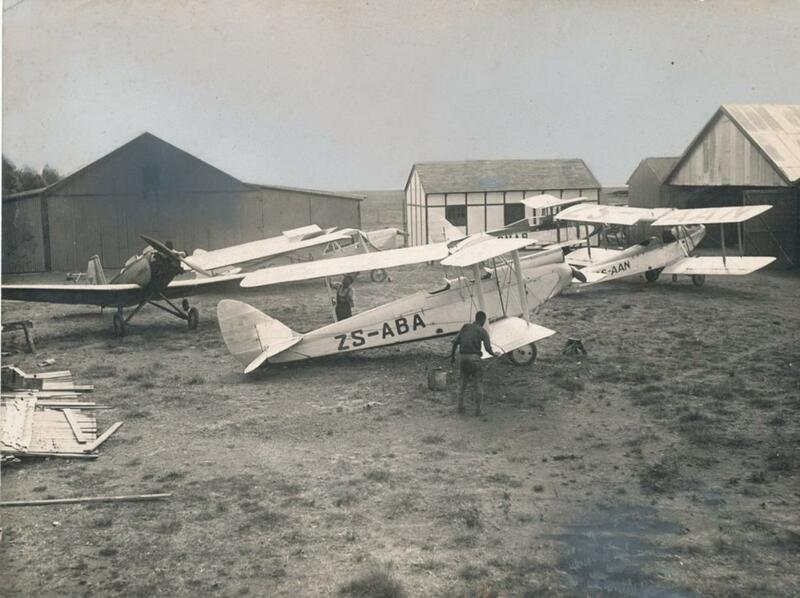 The 2 guys started a flying school in Rustenburg. 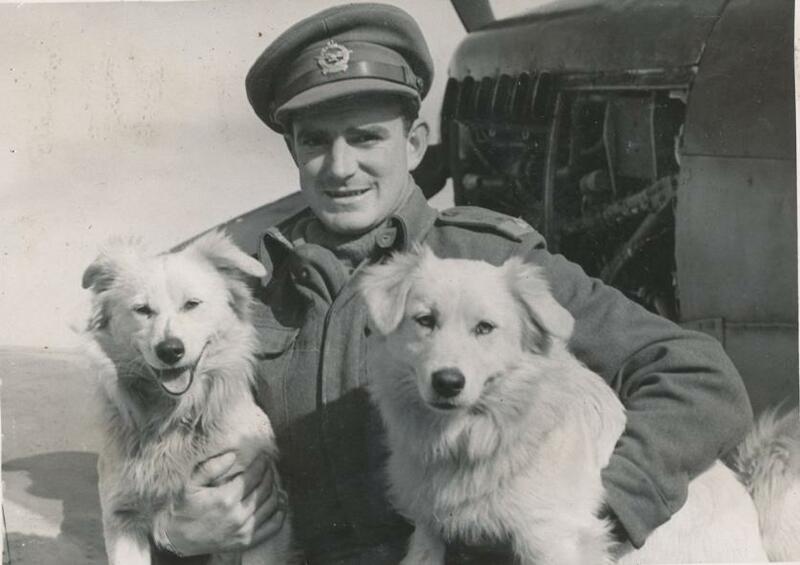 Ironically they were both interned as German citizens at the outbreak of ww2. 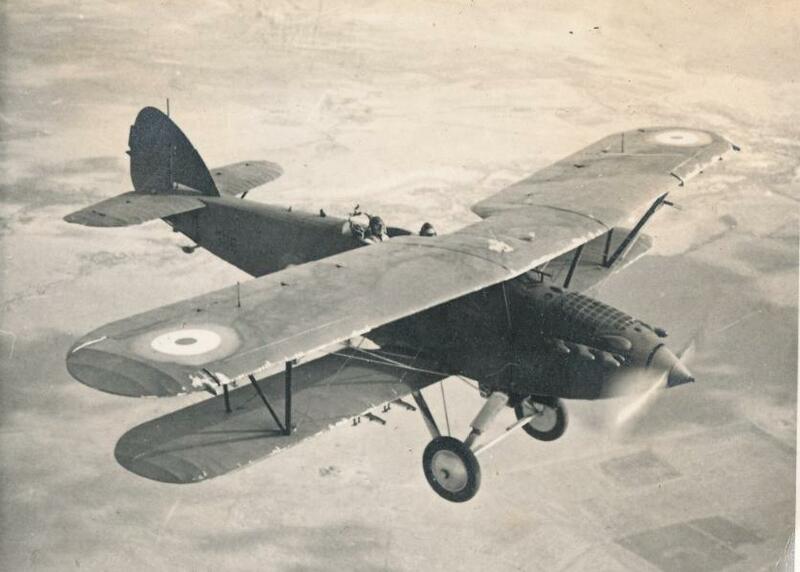 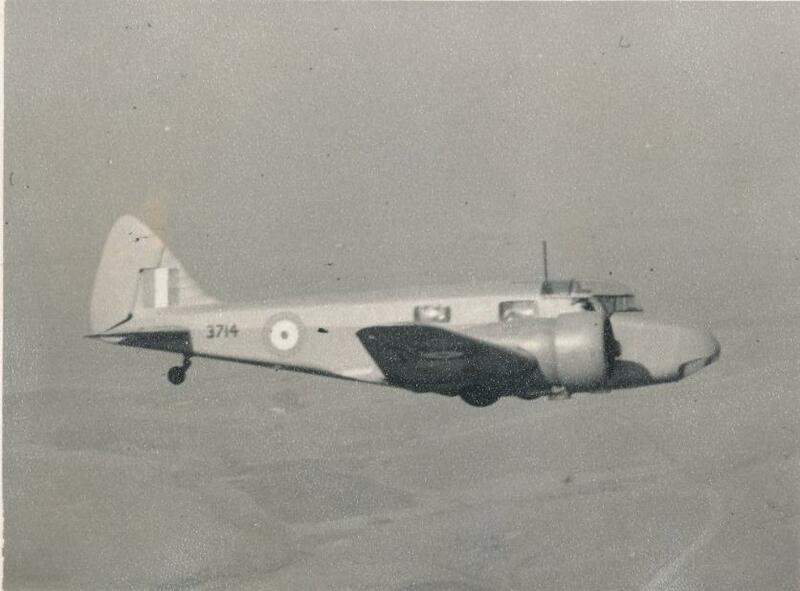 13 Hawker Hart Roberts Heights 1940. 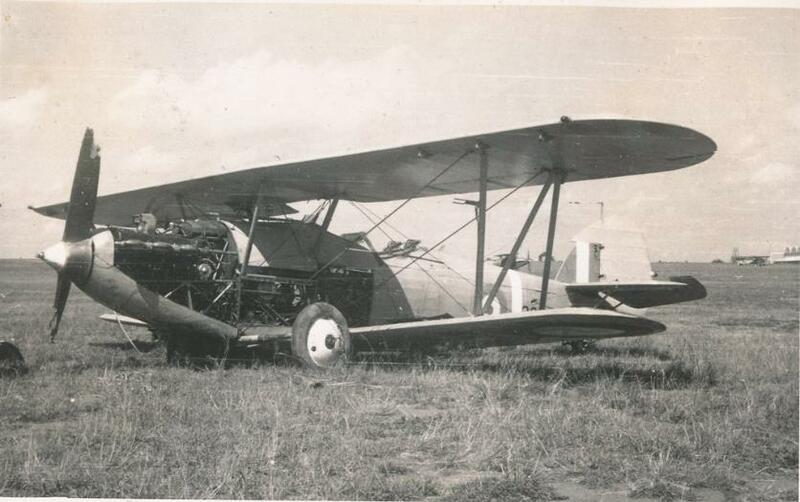 V 12 cylinder Rolls Royce "Kestrel" engine. 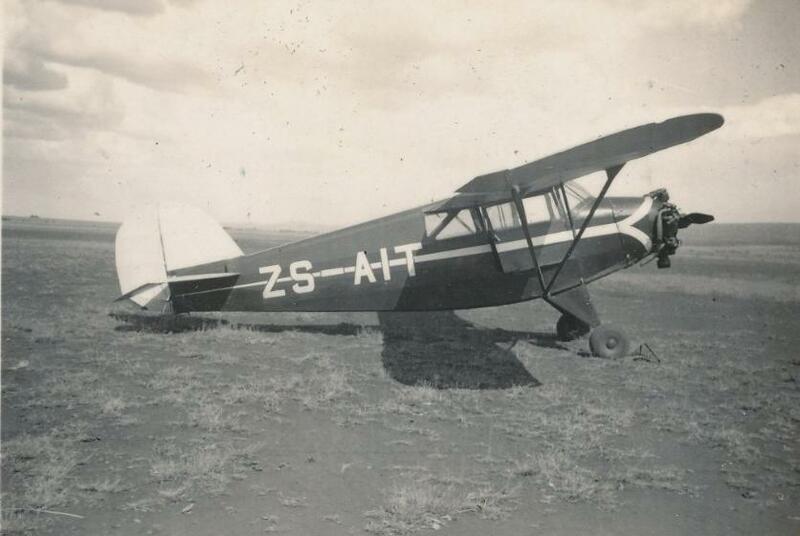 17 Hart with Pretoria Jhb road in the background. 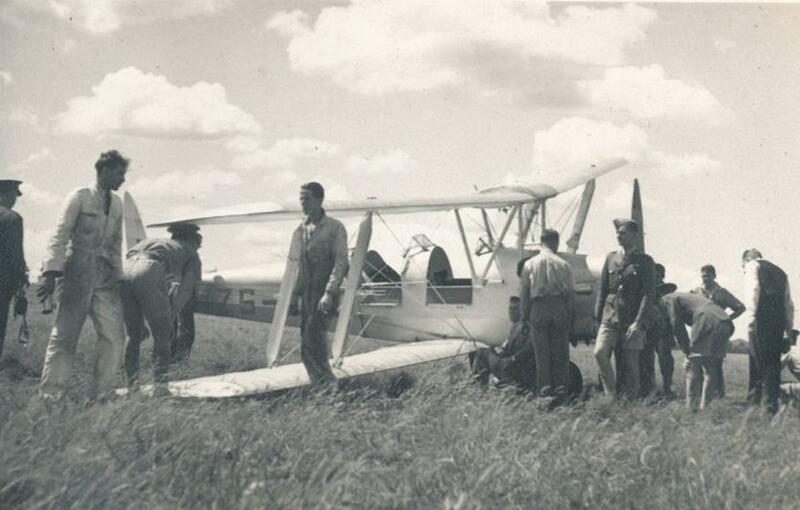 Instructors wore white overalls. 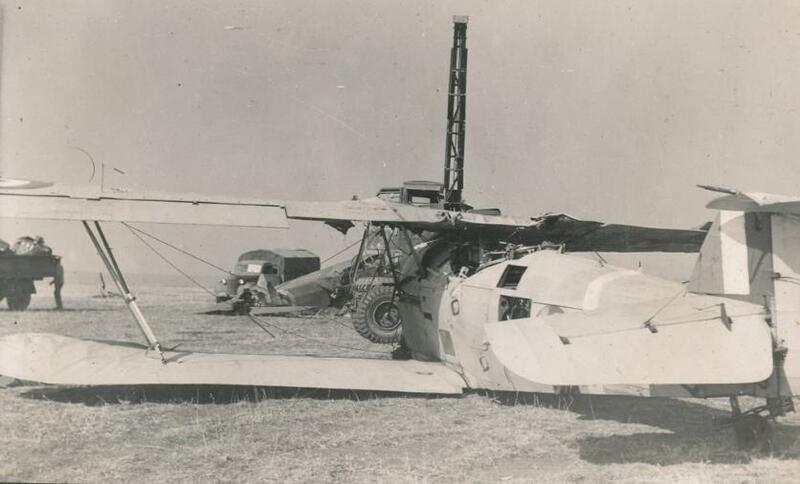 18 Hart, grass stuck on skid. 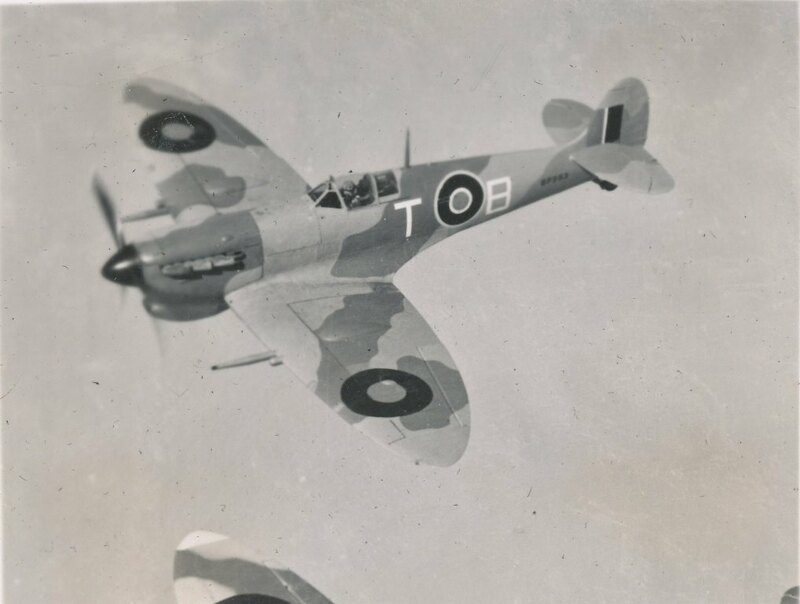 Every flight had its own symbol. 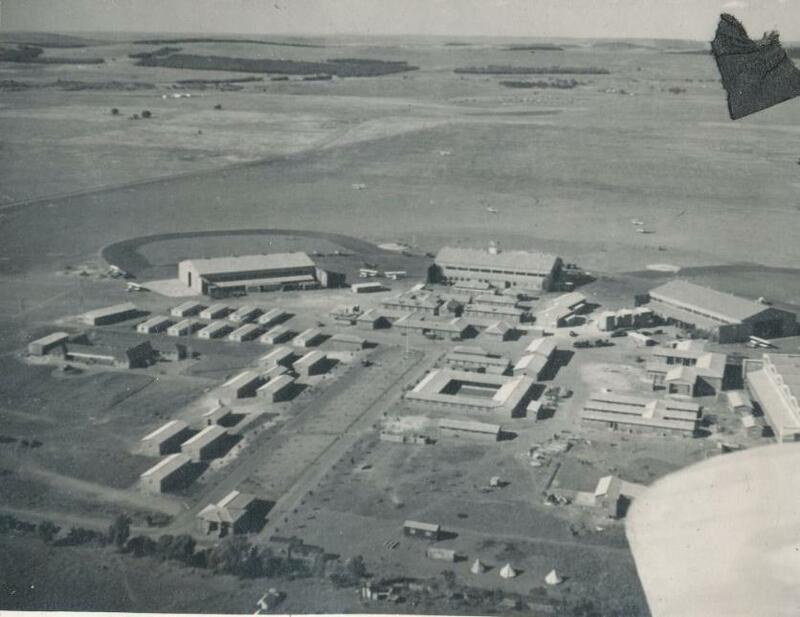 23 Waterkloof before night flying. 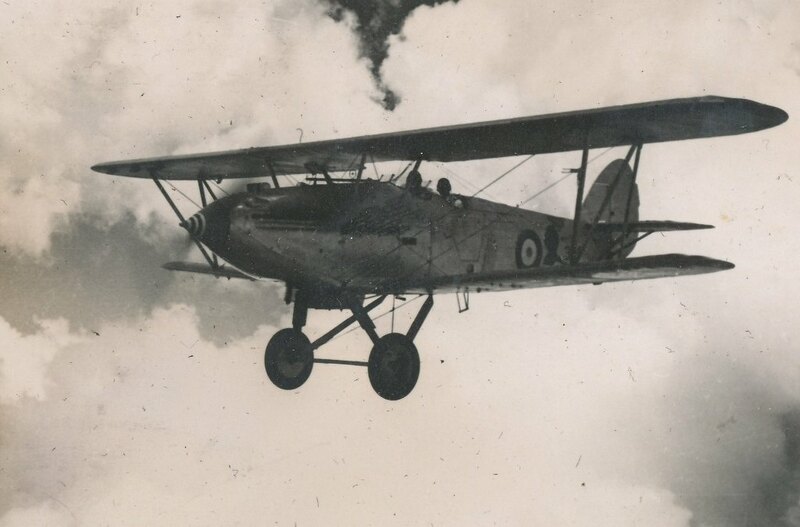 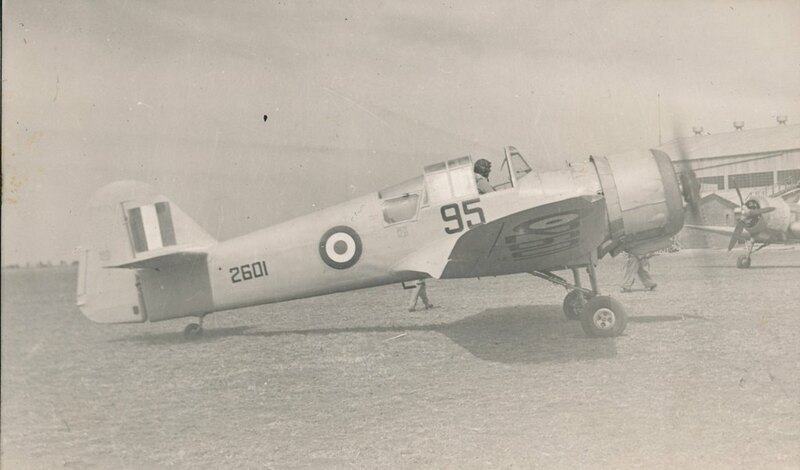 Hawker Hinds.Hinds had the tail wheel (not a skid like the Harts) and wheel breaks. 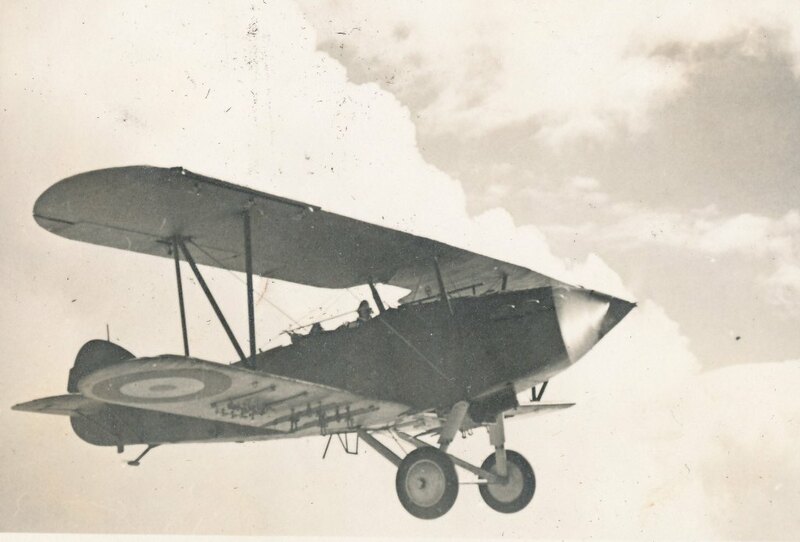 Independent breaks for the wheels that help to steer when taxing. 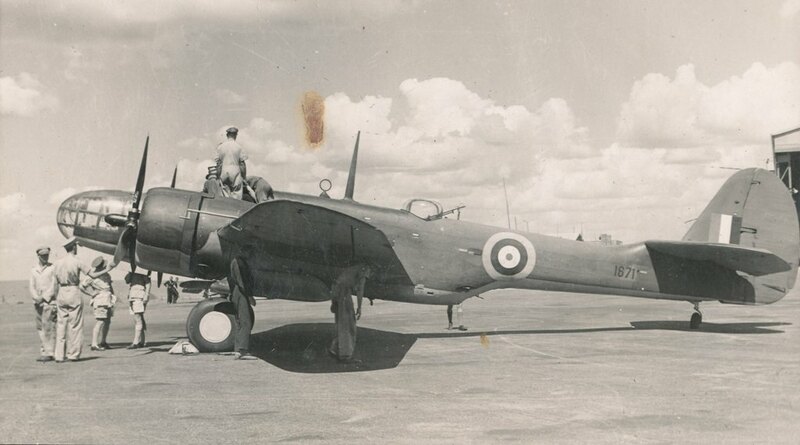 During this time the "Hinds" were also referred to as "Harts". 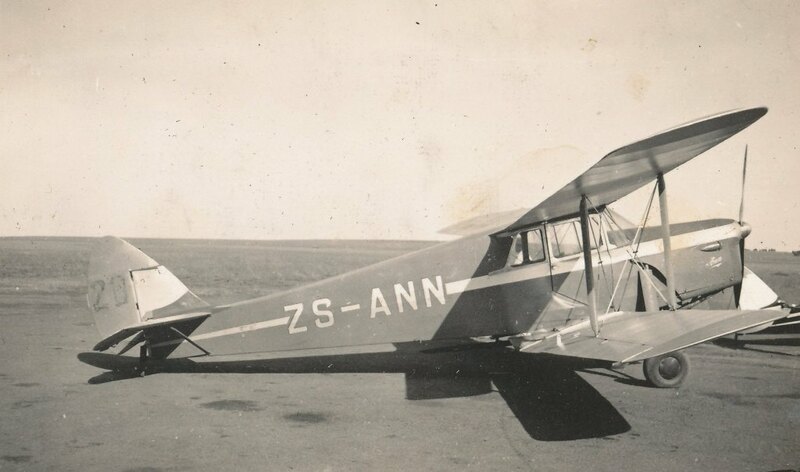 31 Bloemfontein, Pretorius (OC of 1 CFS) led this flight to Kimberly to drop a bunch of toilet rolls as a kind of joke :) . 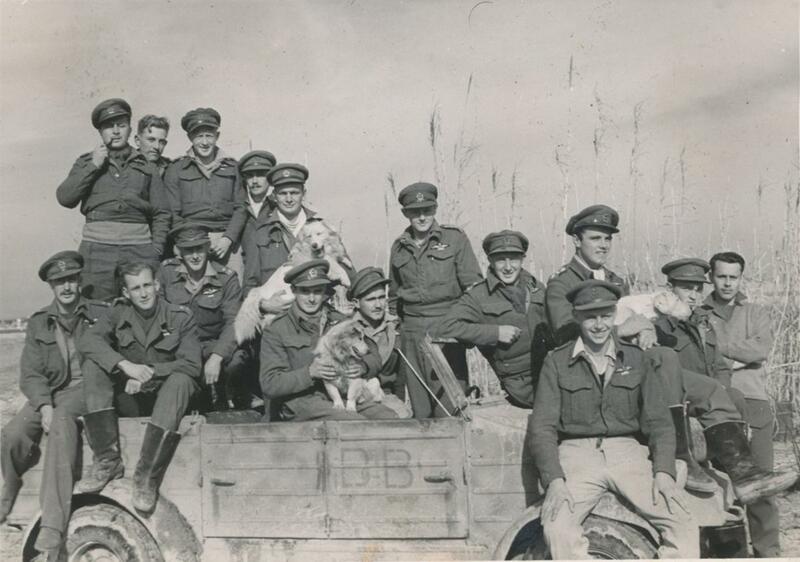 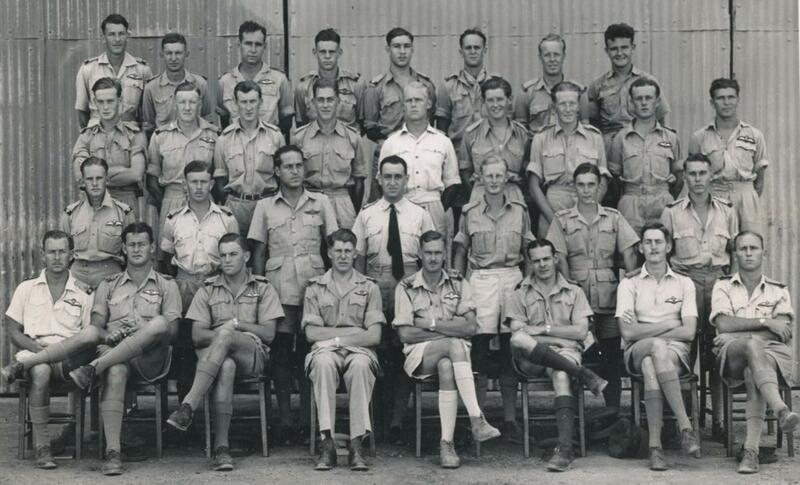 1940 Instructors course. 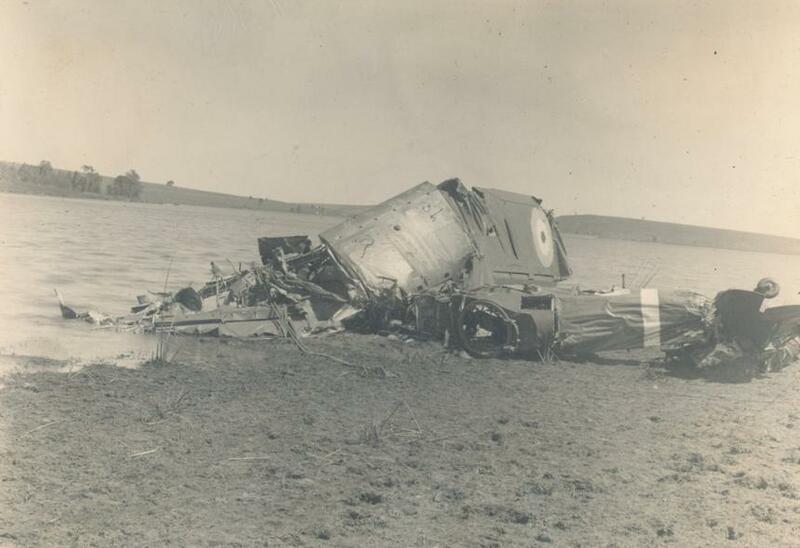 34 Hind that made an accident after night flying. 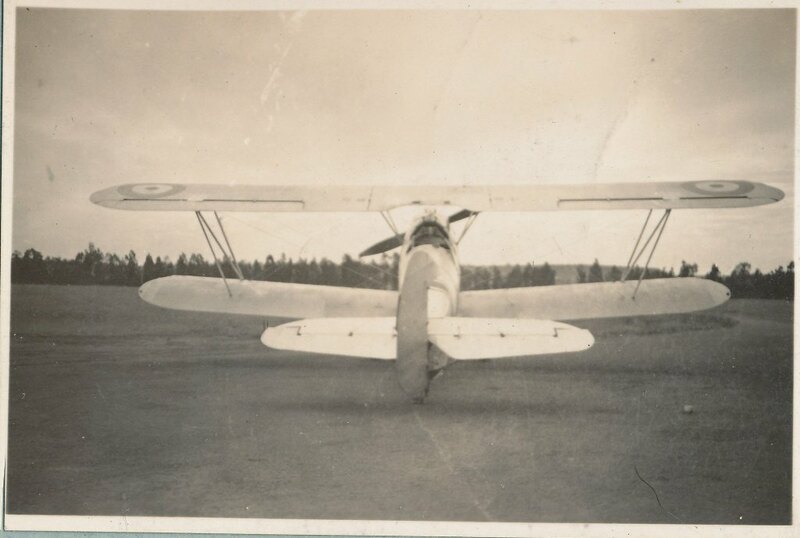 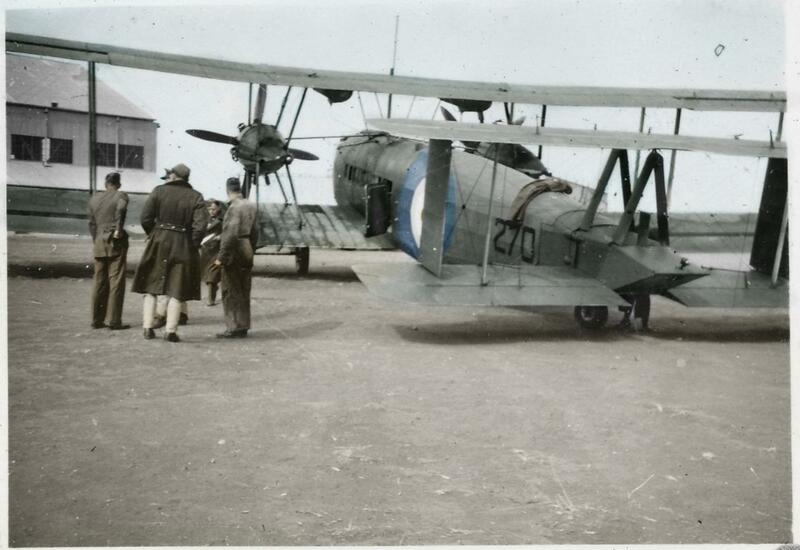 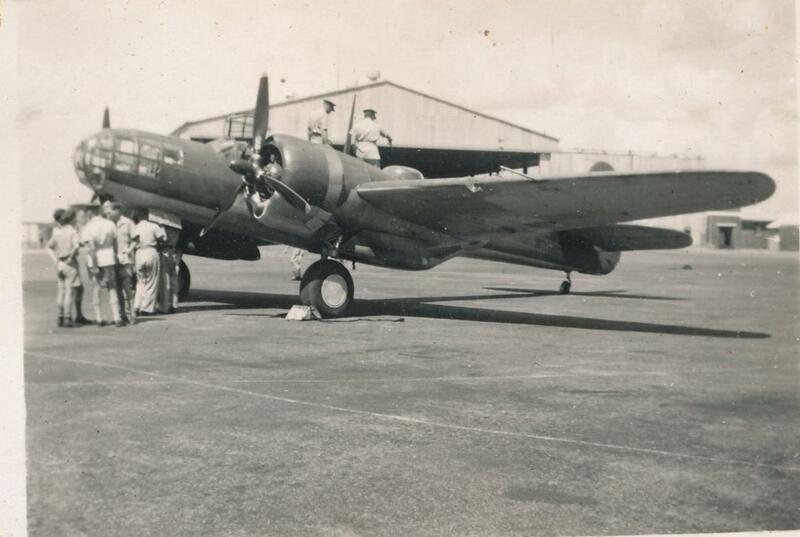 Note the rubber bungees that connects the rudder with the tail wheel. 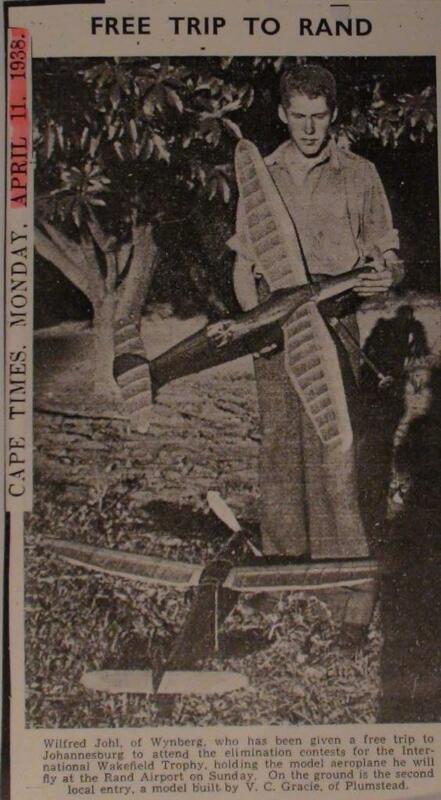 This was to help with taxi steering. 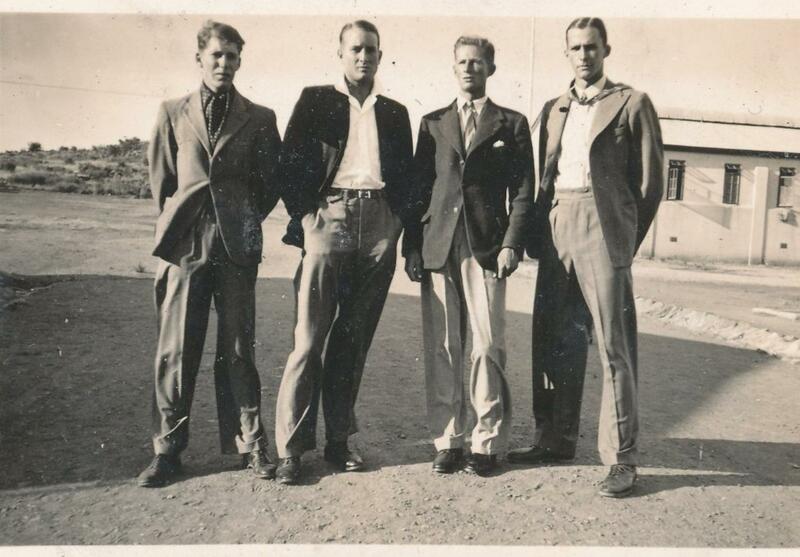 Waterkloof. 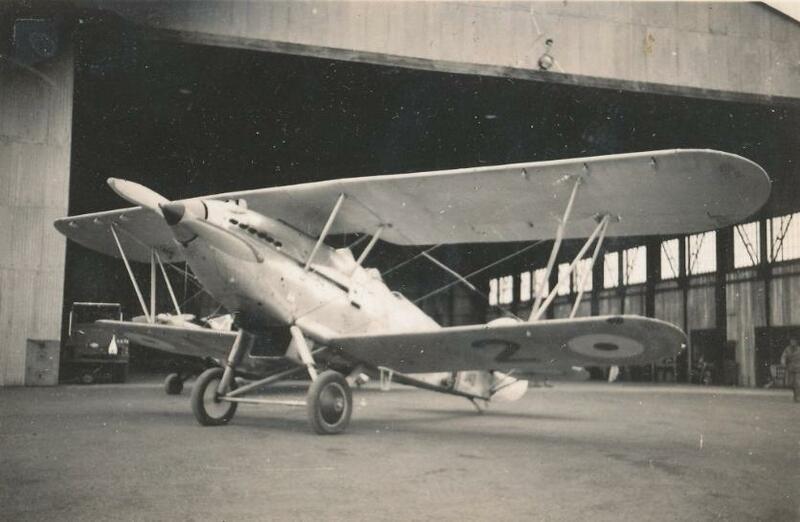 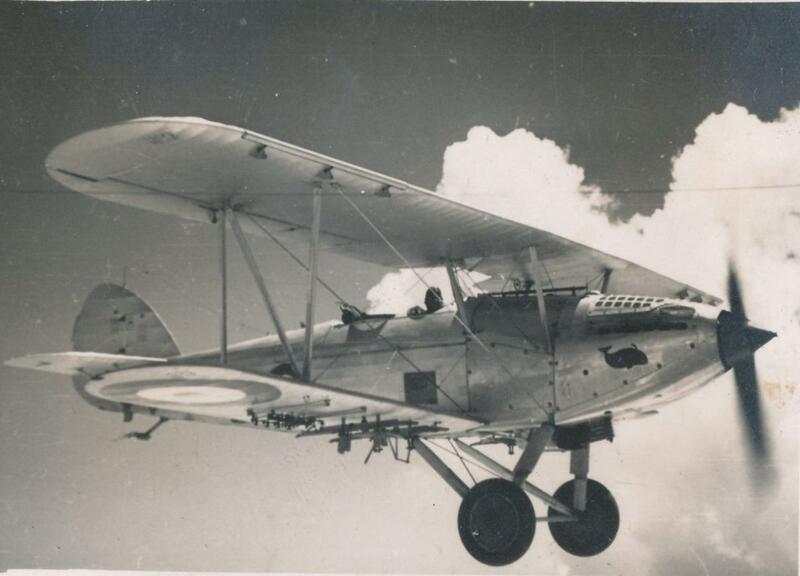 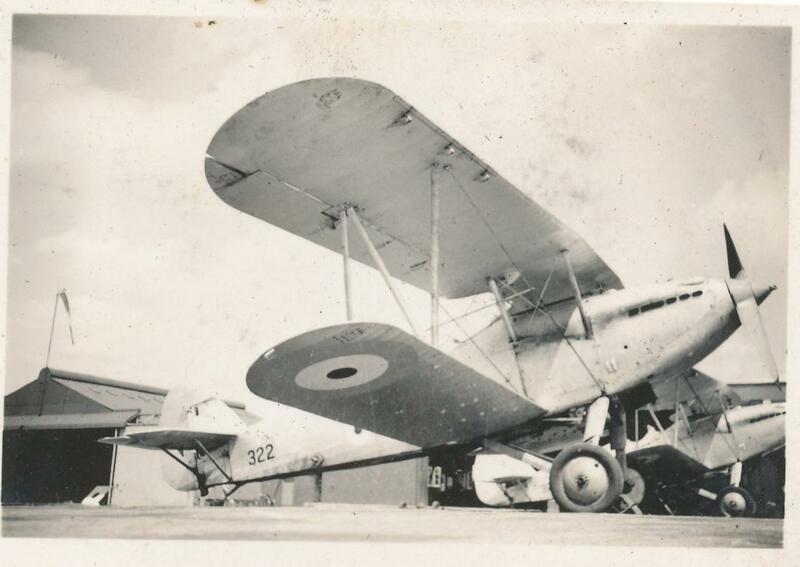 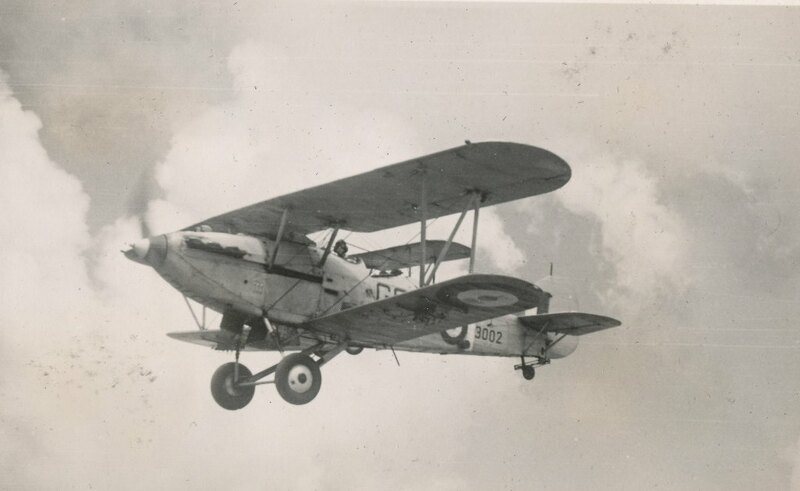 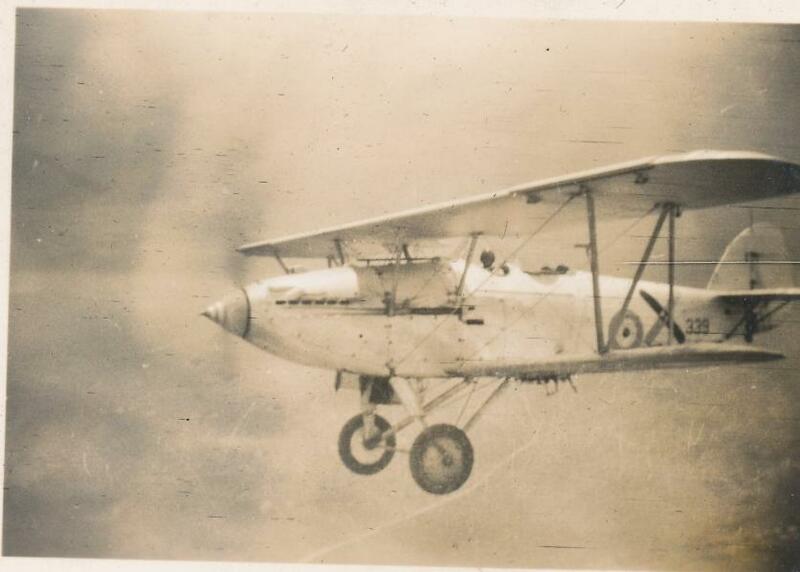 35 Hawker Hind, see tail wheel contraption. 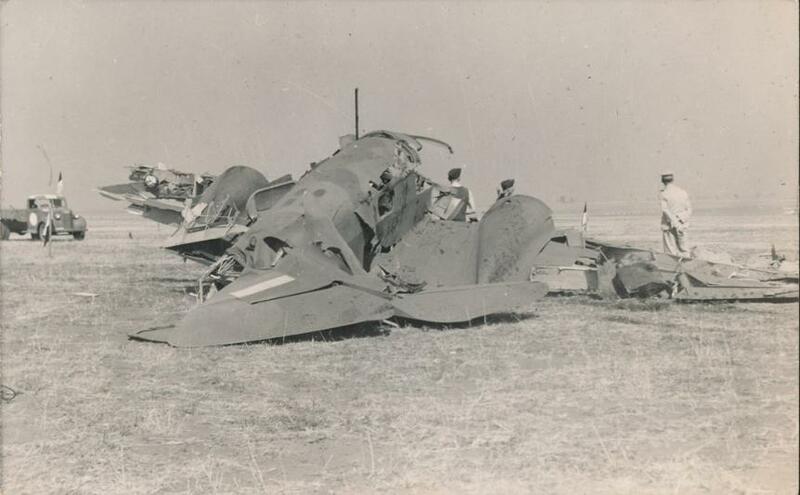 36 Hind Crashed after night flying, heavy landing. 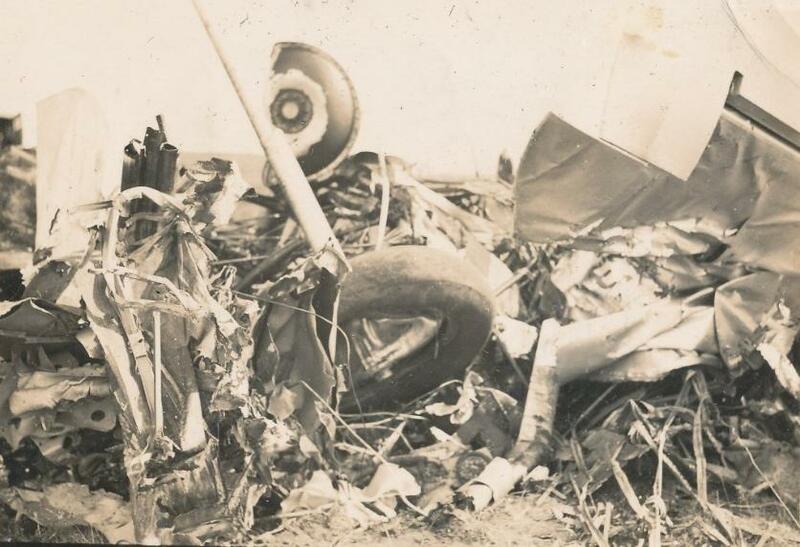 38 Fatal crash debris during the instructors course. 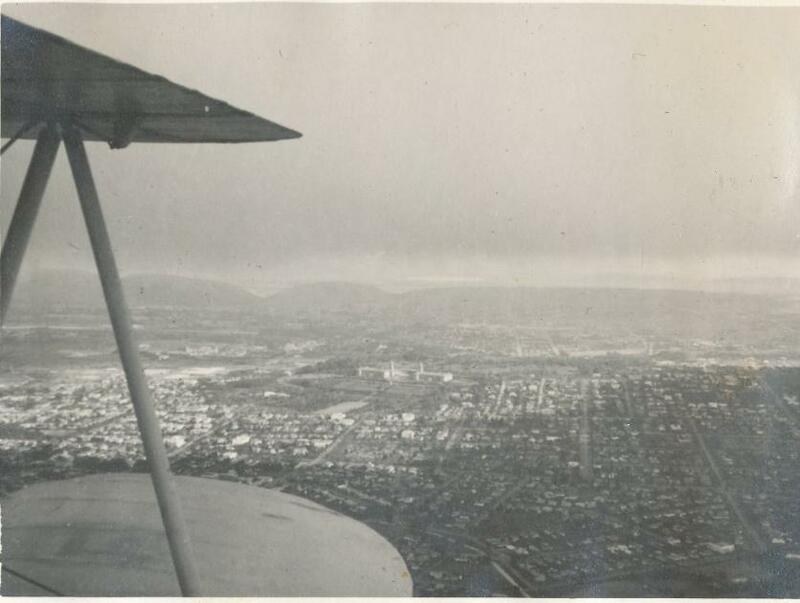 42 Picture taken from B flight hanger at Roberts Heights. 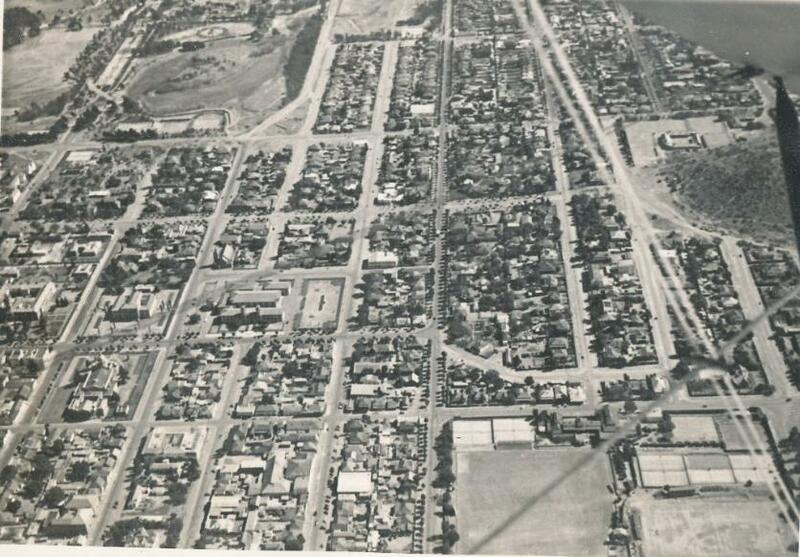 43 Roberts Heights with the trees lining the Jhb road. 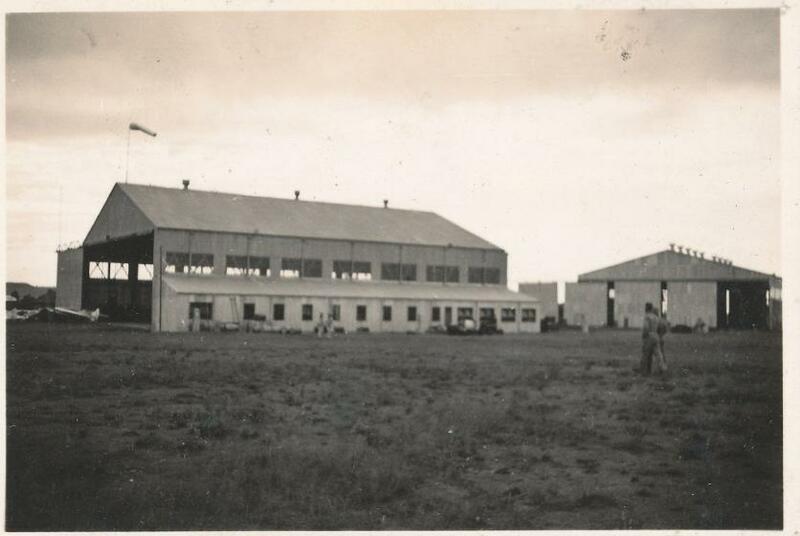 44 Roberts Heights in front of B flight hanger, all pupil pilots. 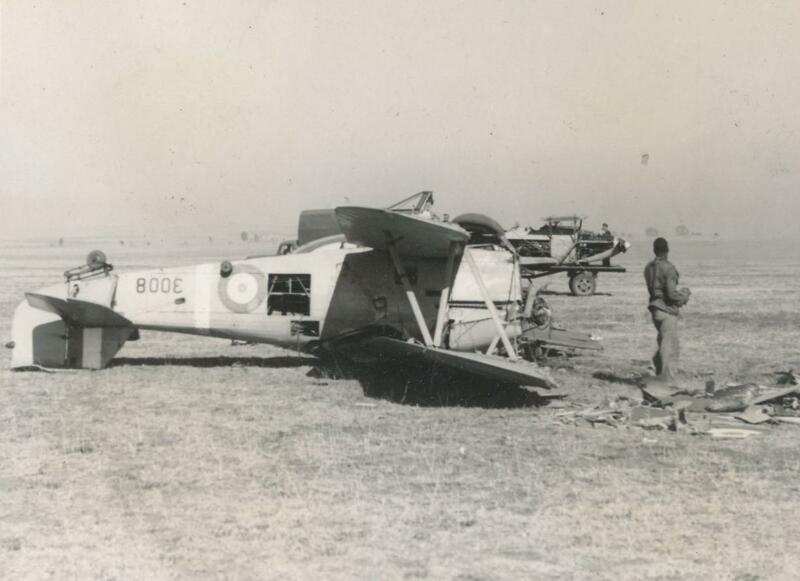 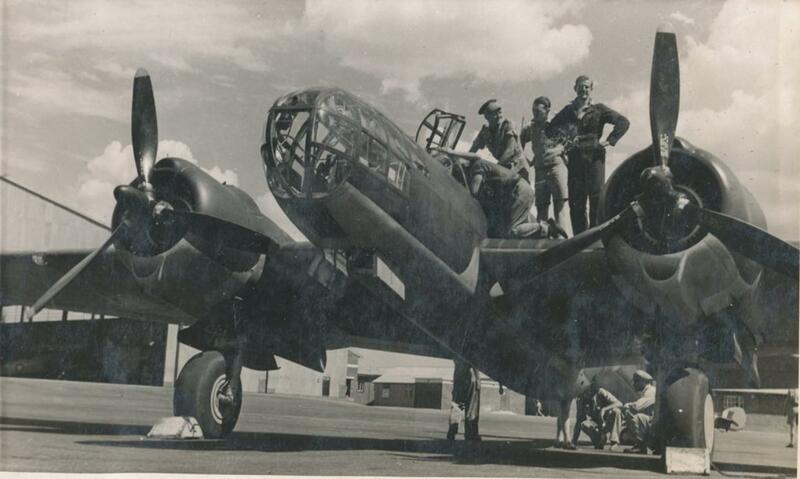 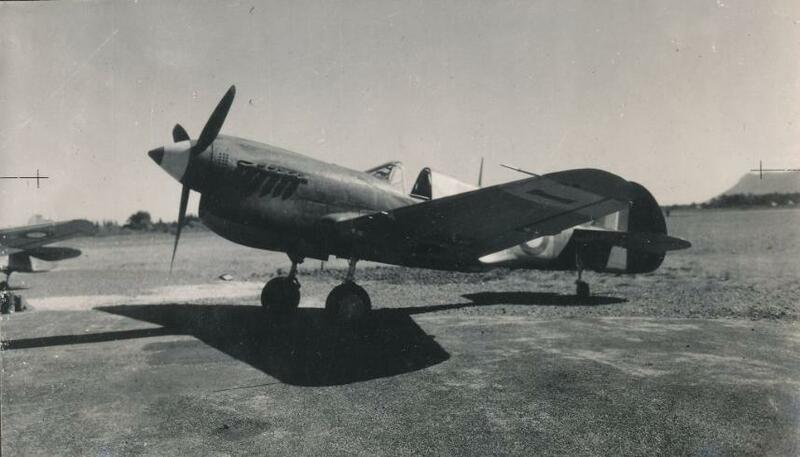 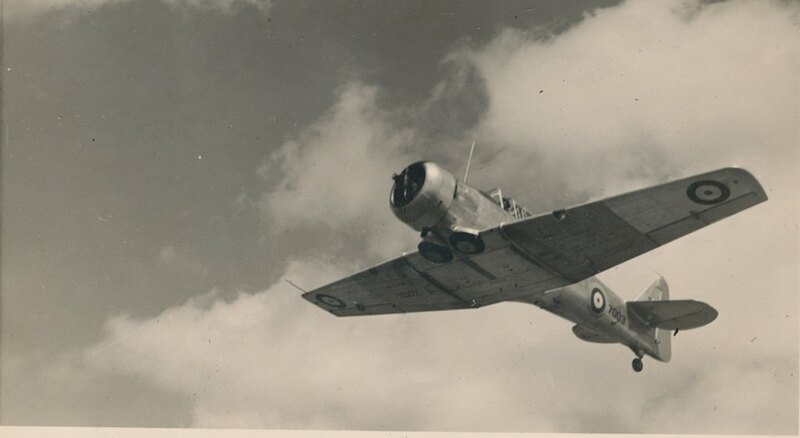 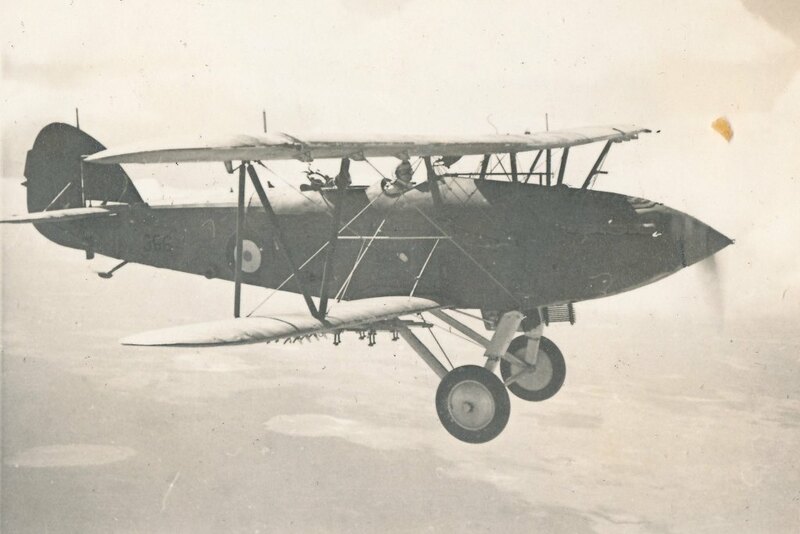 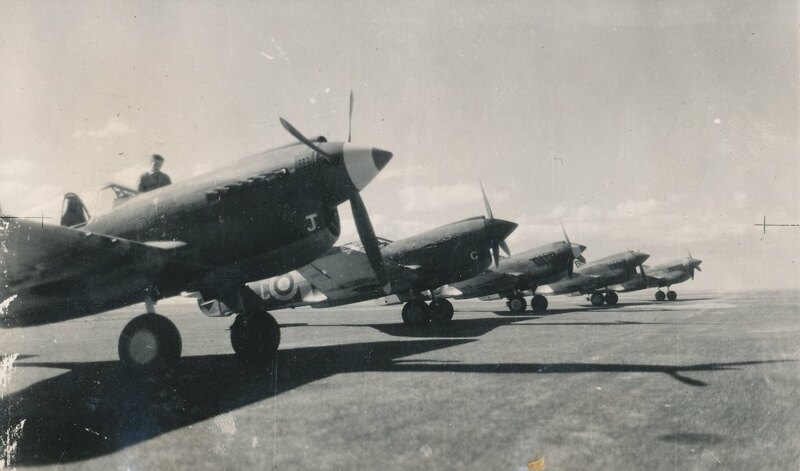 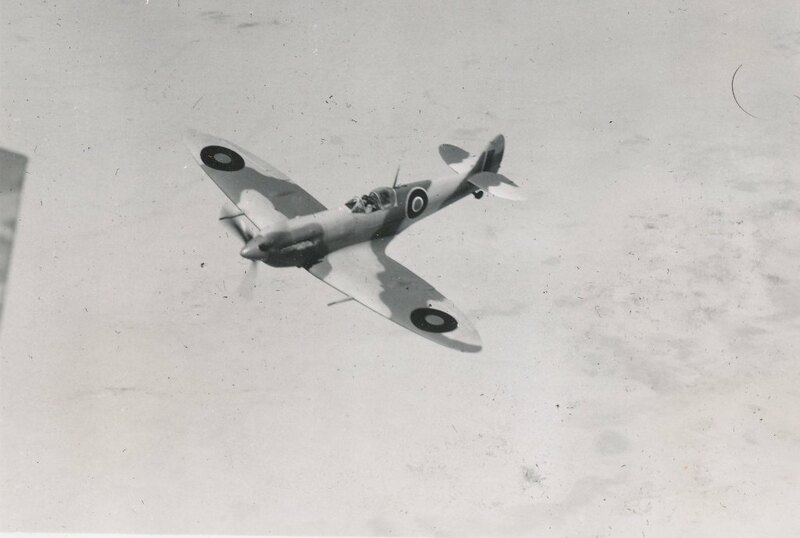 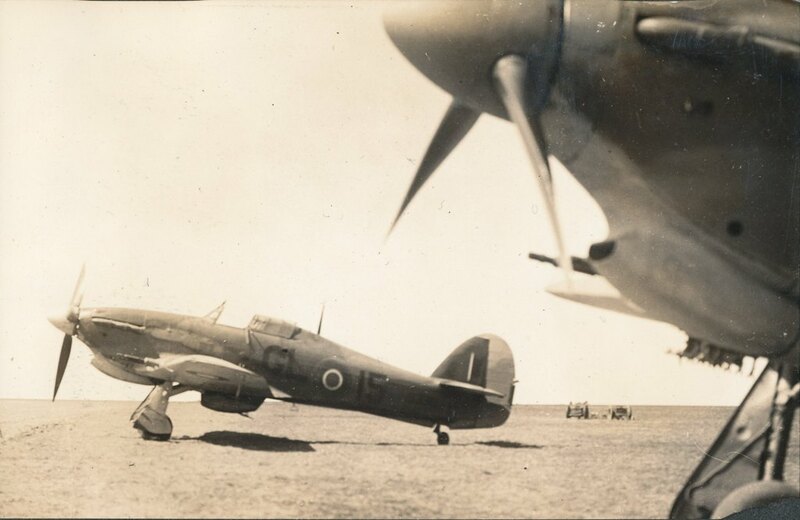 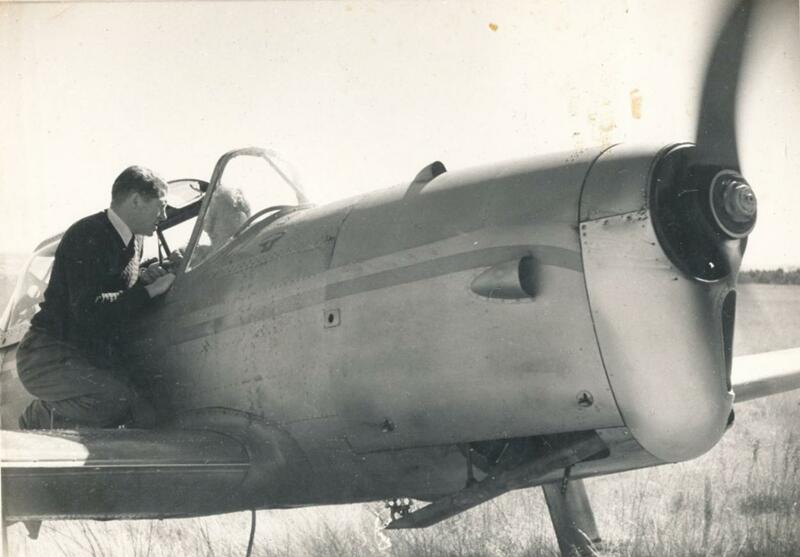 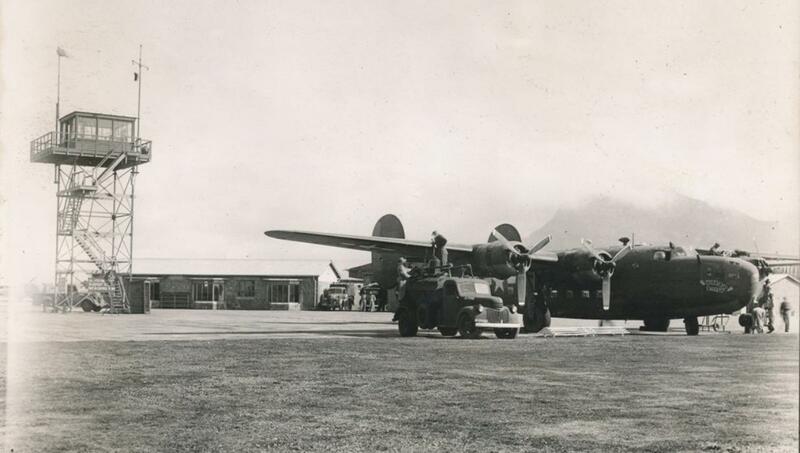 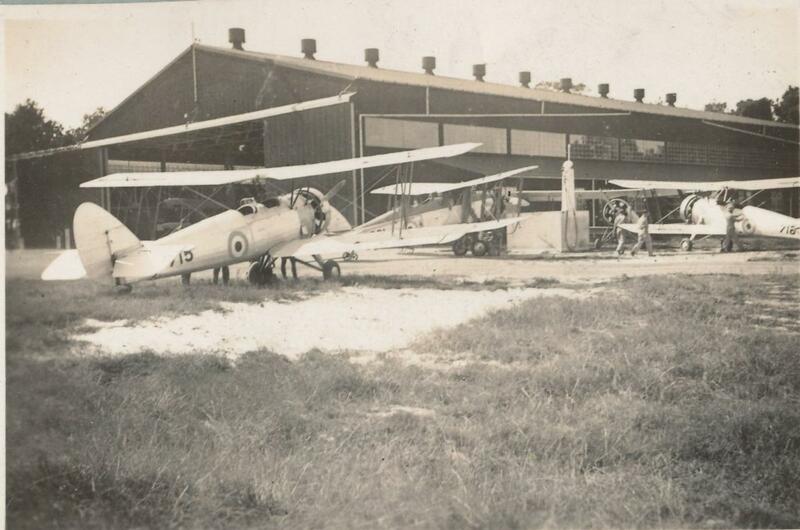 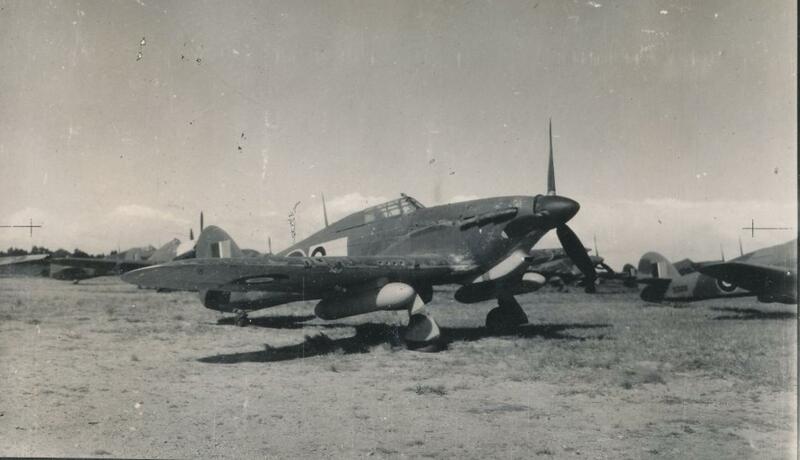 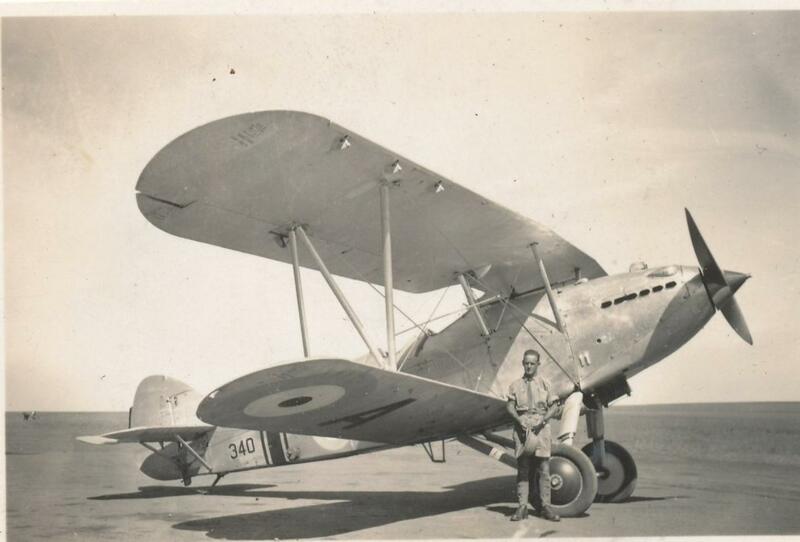 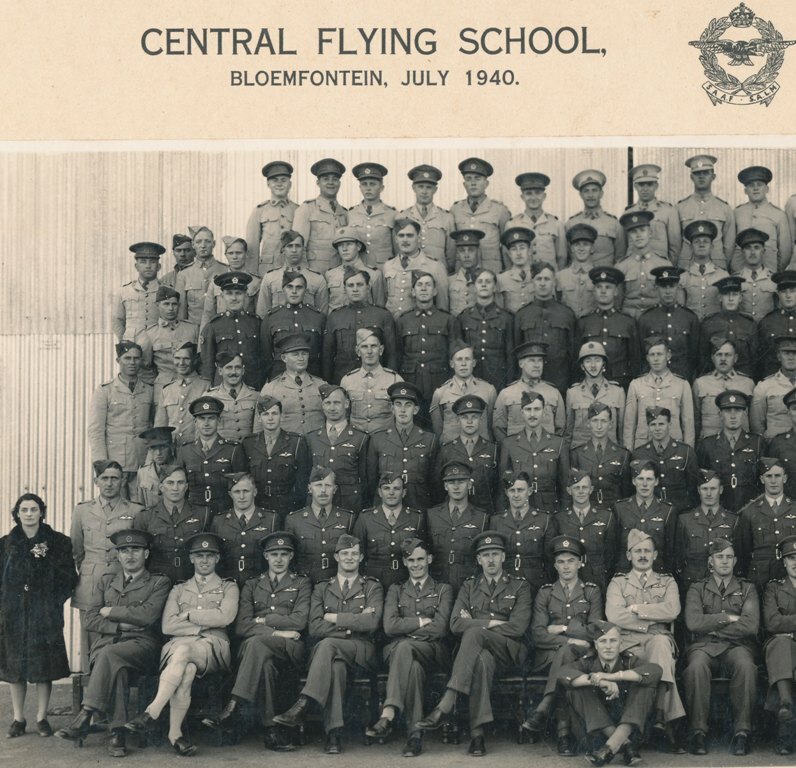 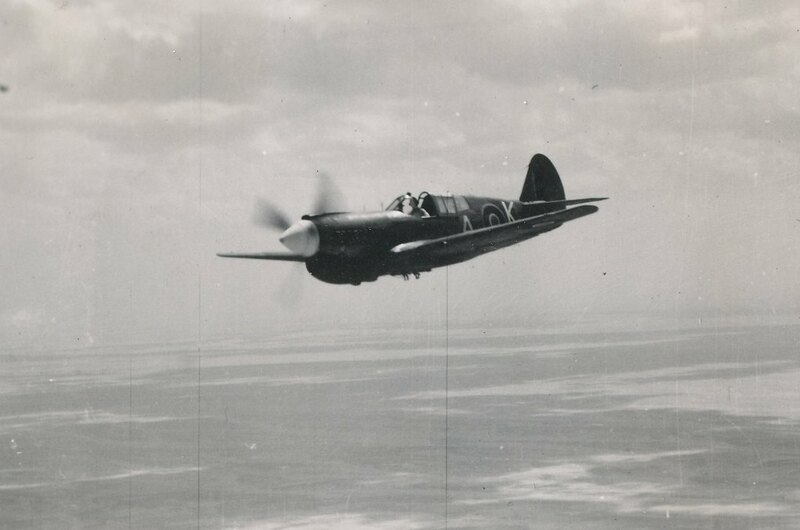 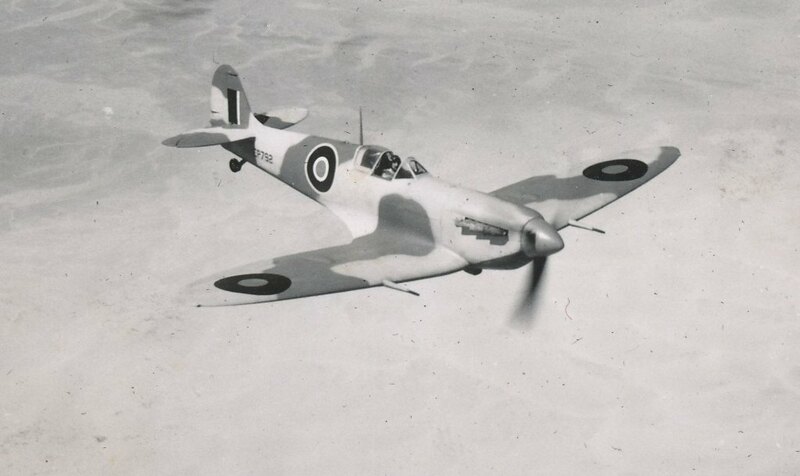 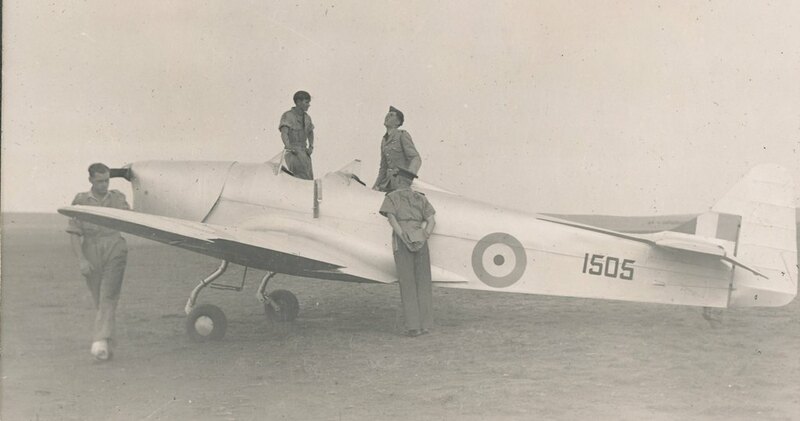 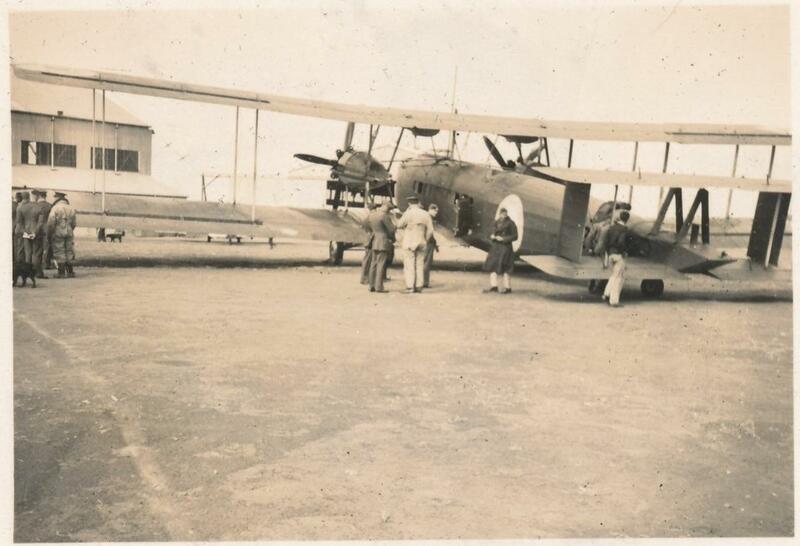 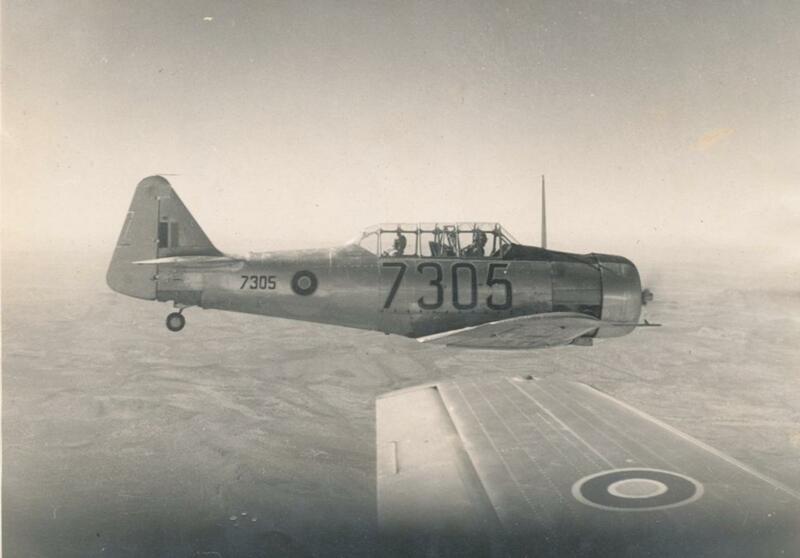 This was the first service flying course at Roberts Heights as part of the SAAF upil pilot training program. 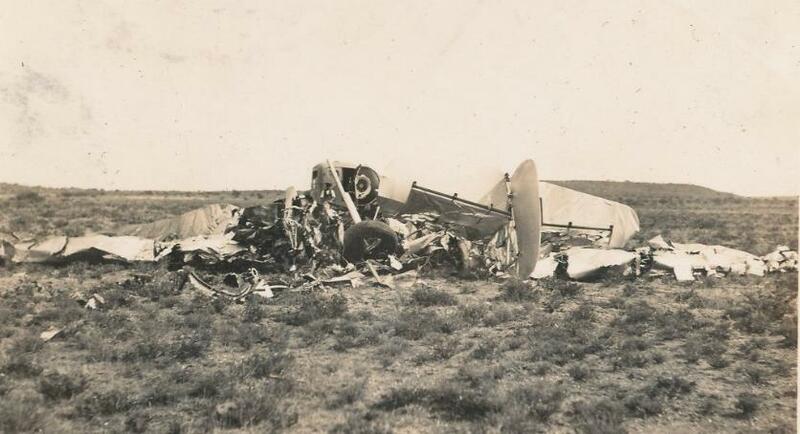 48 Fatal crash during instructors course at Kimberly, two people got killed. 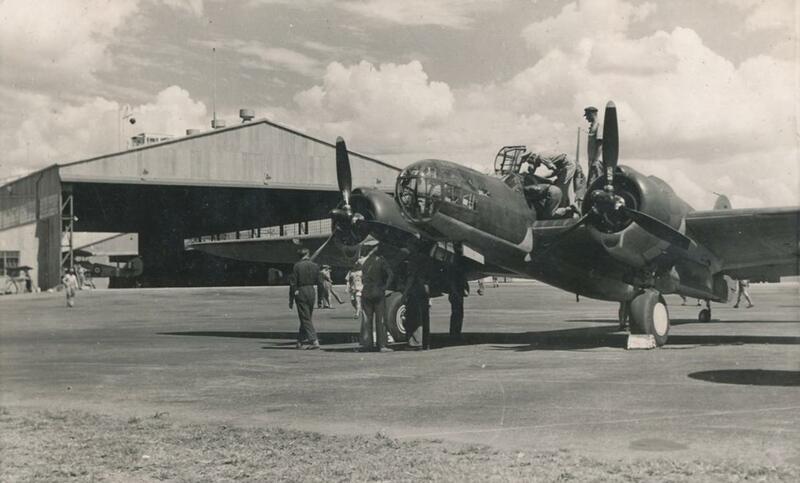 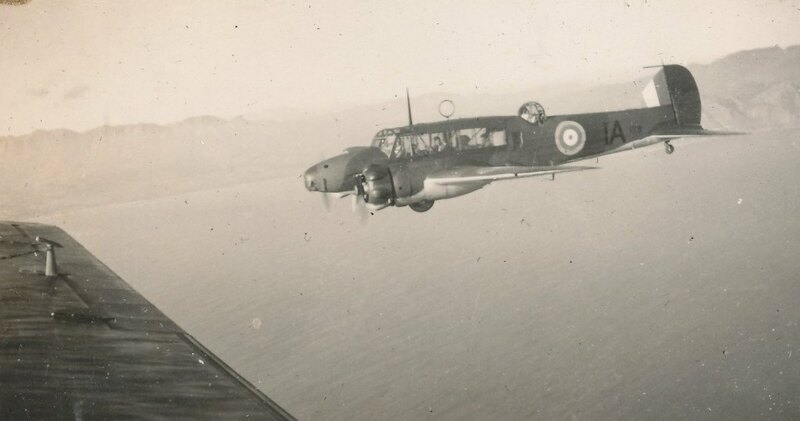 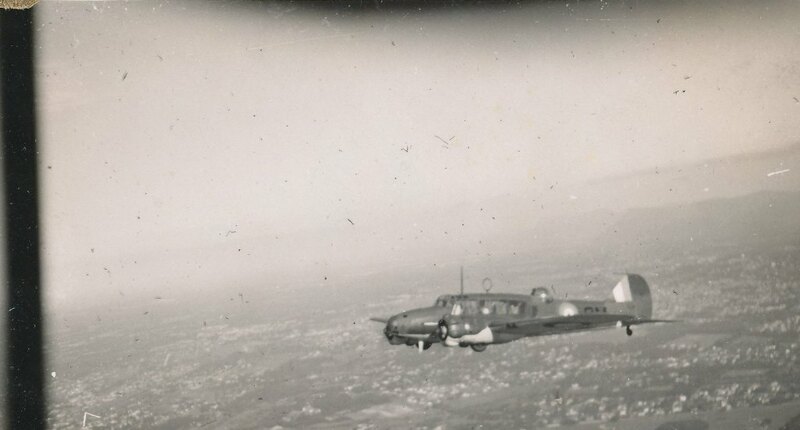 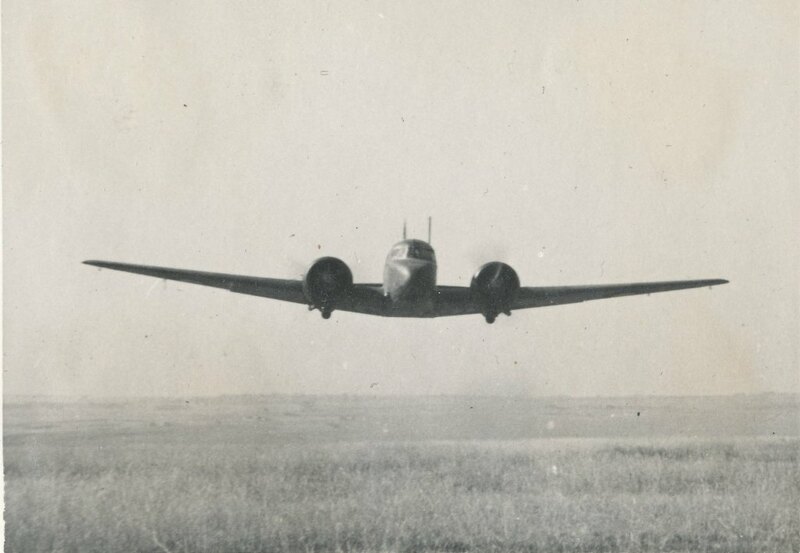 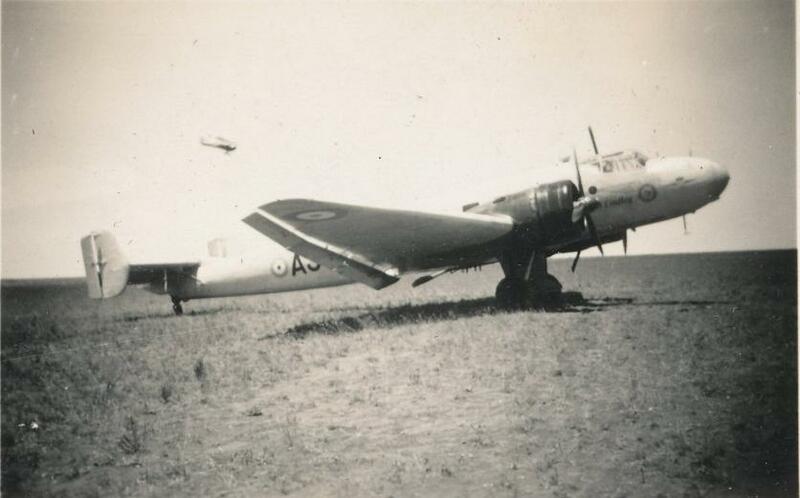 56 Avro Anson in Cape Town flown during Fritz's Navigation course in 1943. 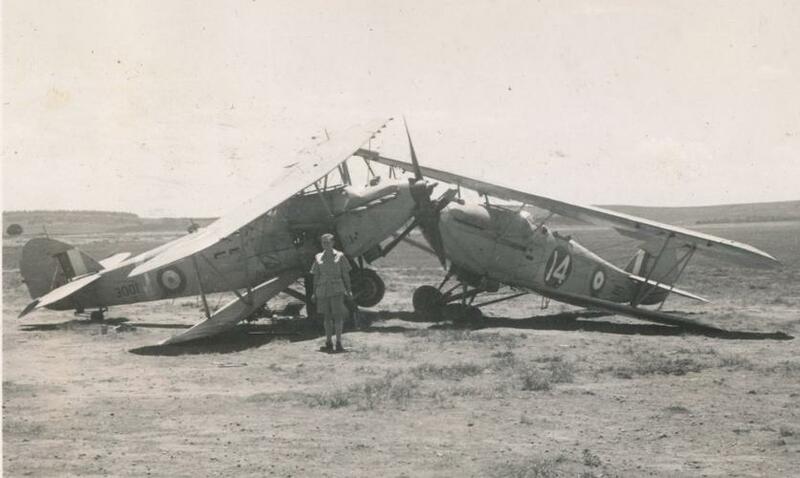 58 73 OTU course in Egypt. 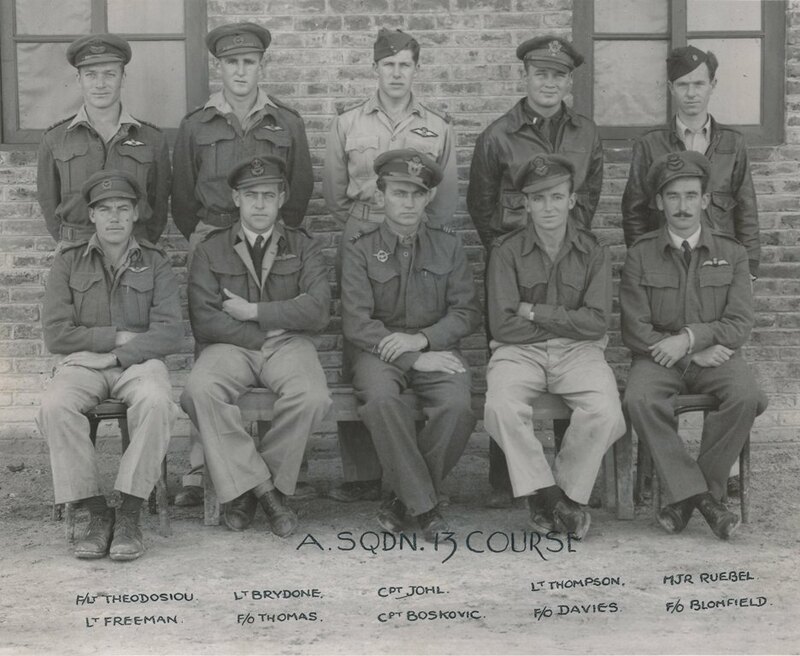 Fritz sitting next to Joe Dunning. 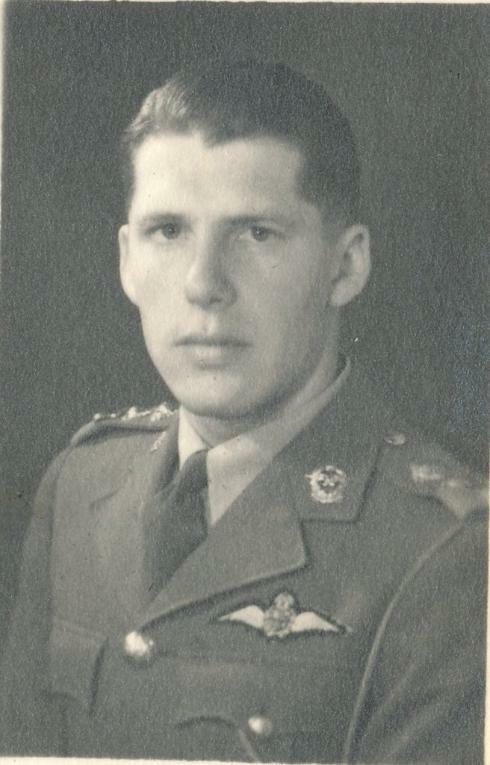 Neville Duke was the OC of the OTU. 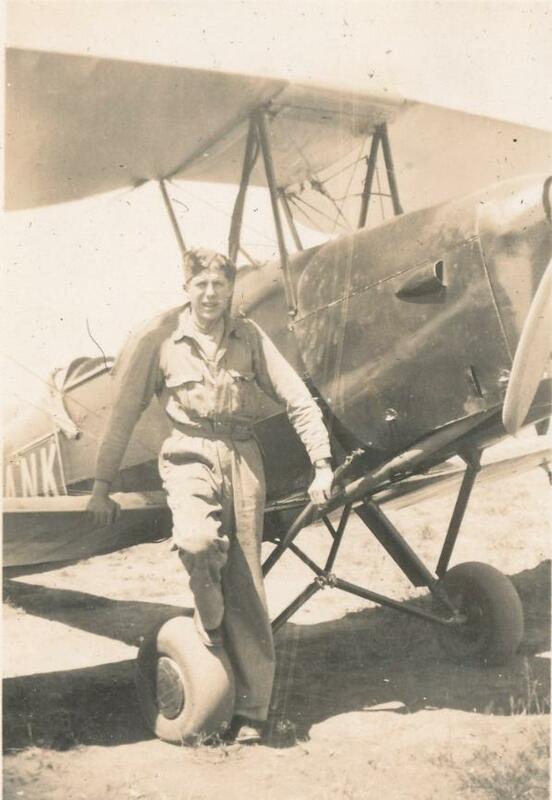 Joe and Fritz were great friends. 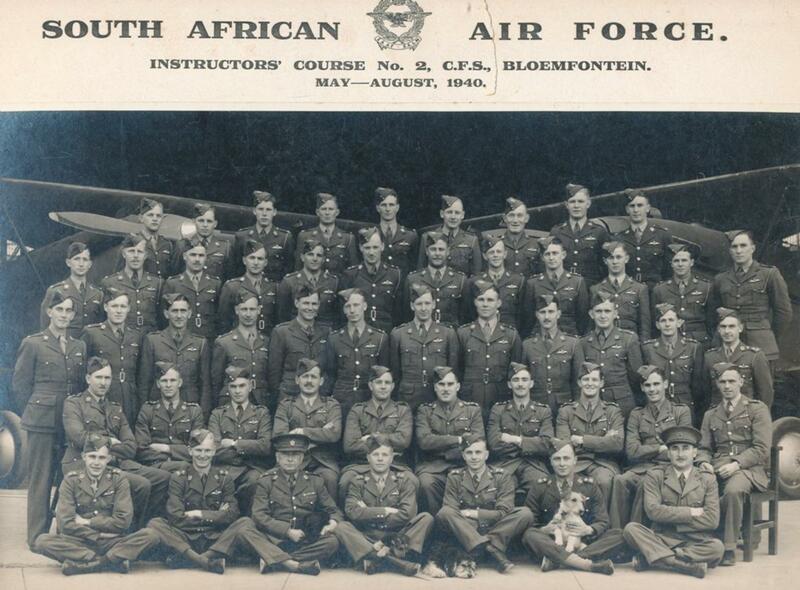 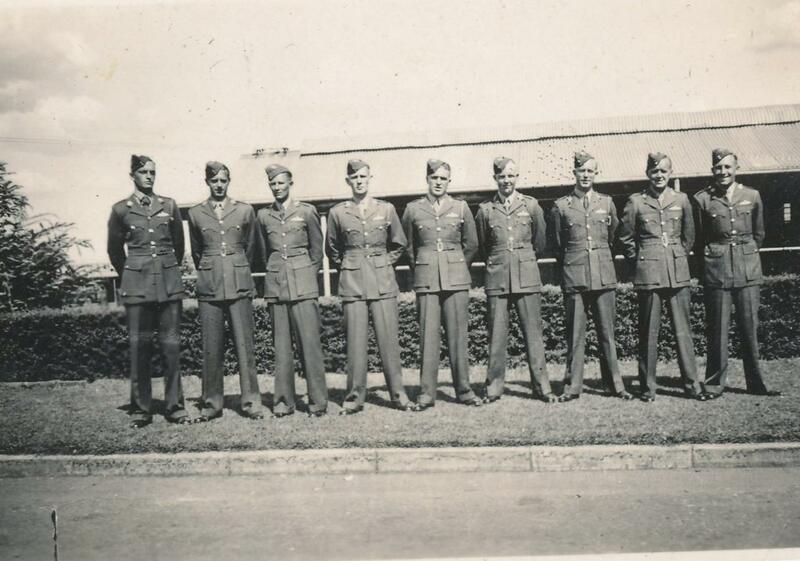 They later were fellow pilots in SAAF 2 sqdn. 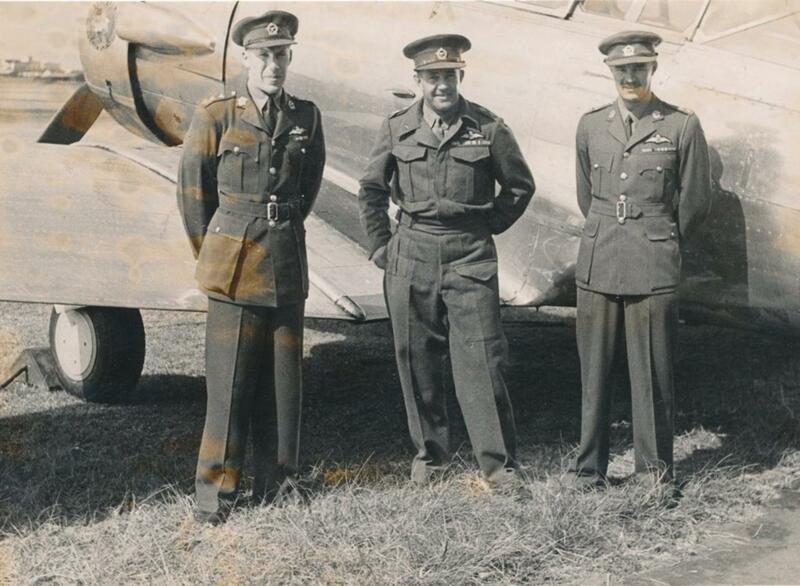 Joe's wife was chief of the WAAF unit, Doreen Dunning. 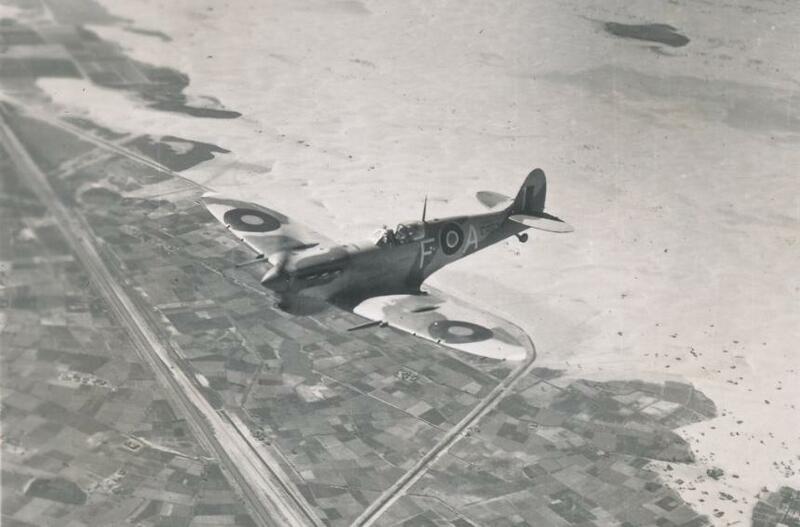 66 Bitter lakes with the canal, Egypt. 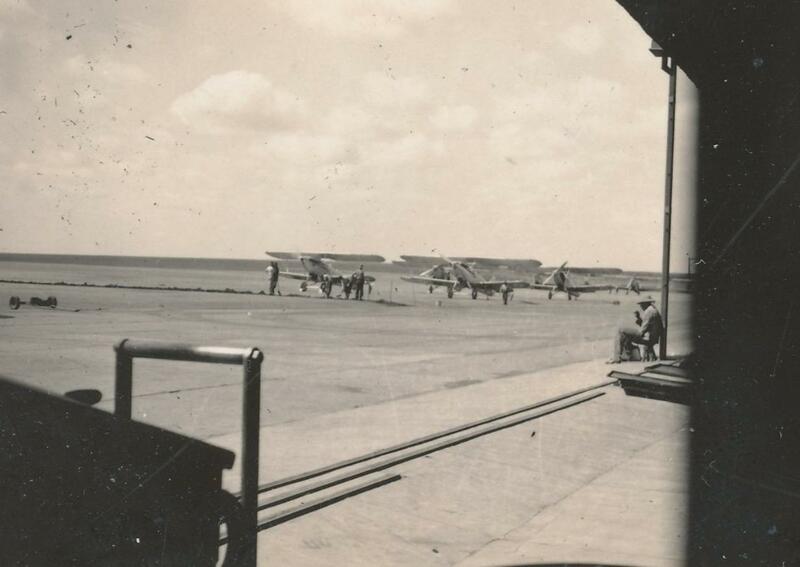 72 Gunnery course in Egypt. 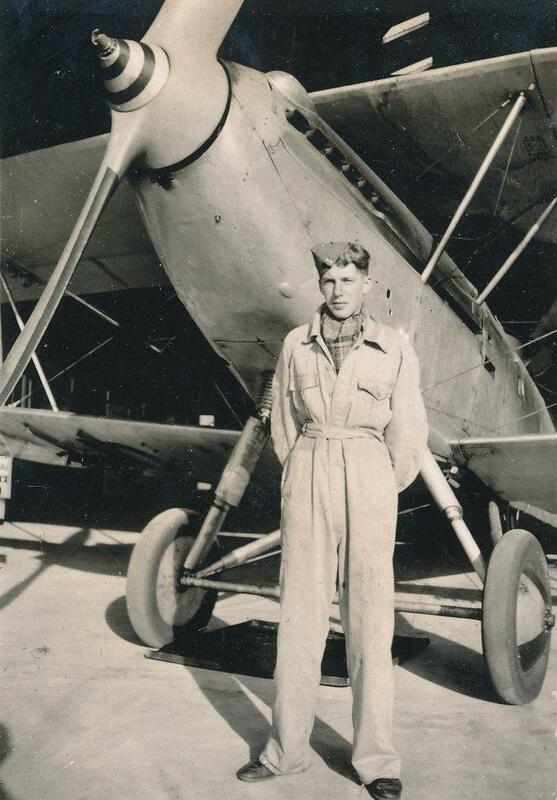 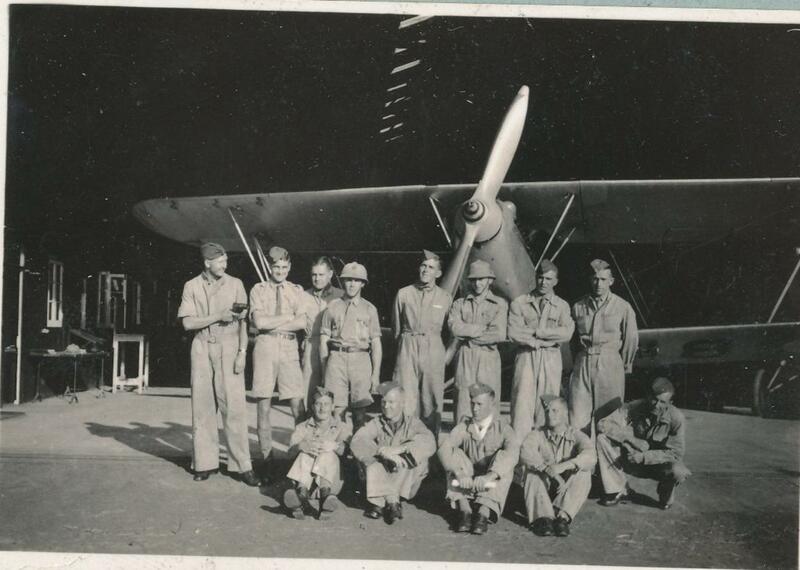 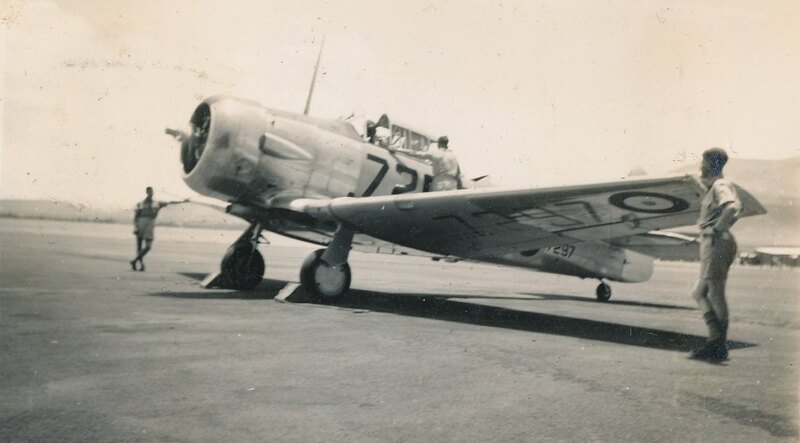 Ruebel was an OC of a US fighter squadron in Algiers and invited Fritz to help them with gunnery. 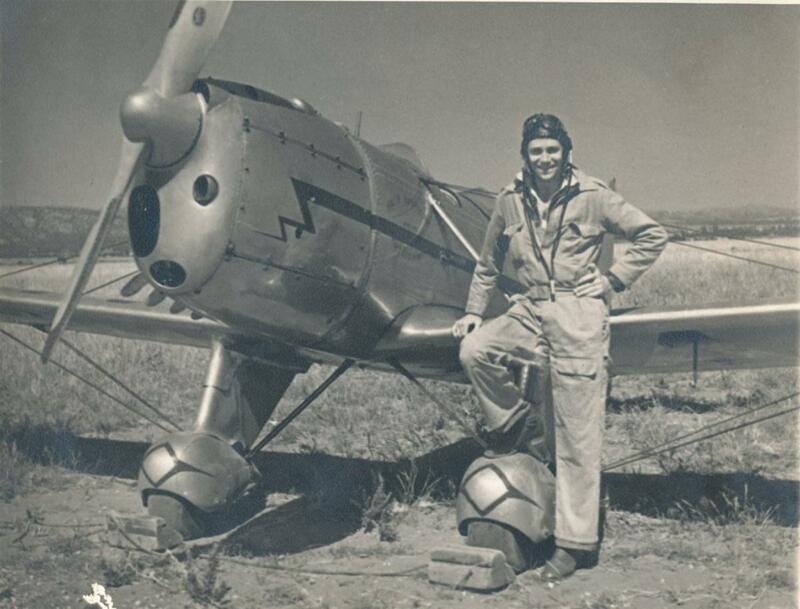 Fritz flew the P-38 while he was there. 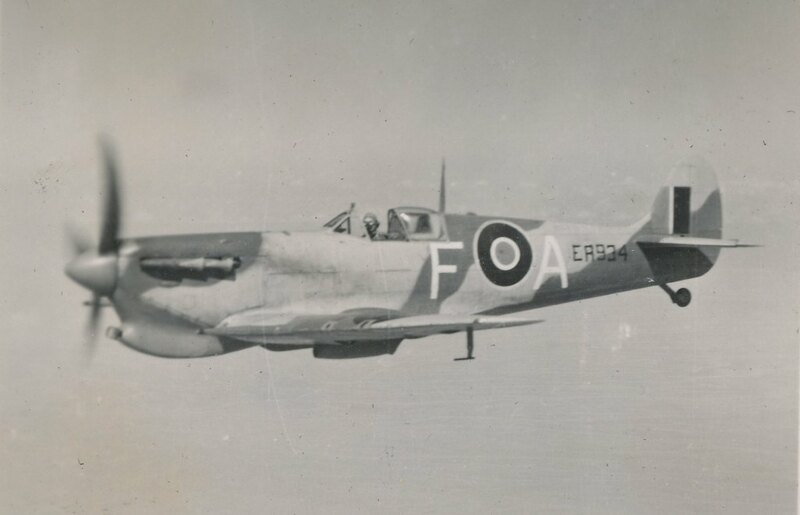 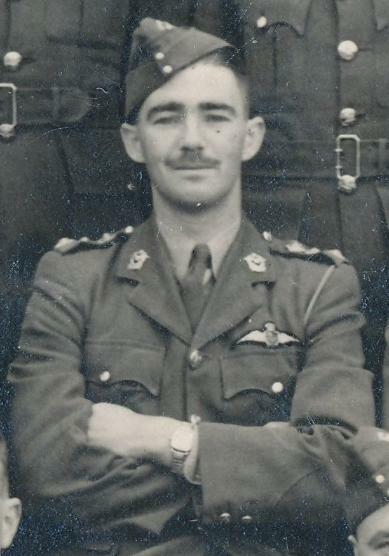 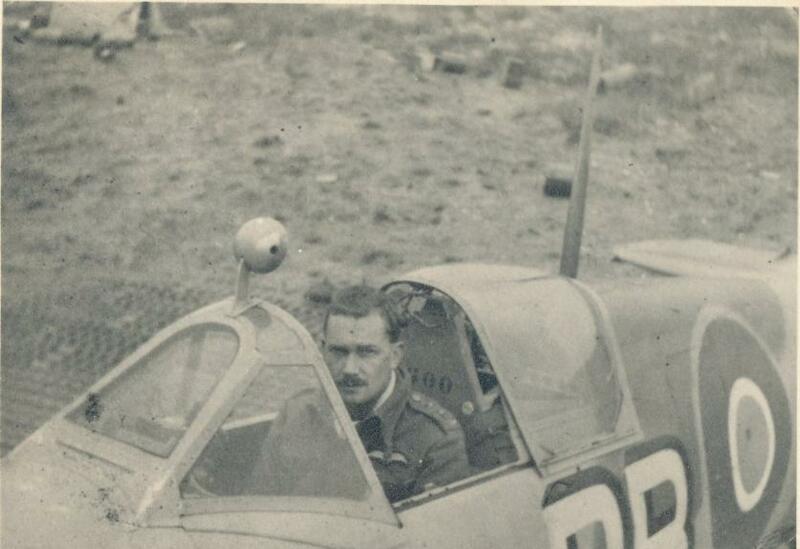 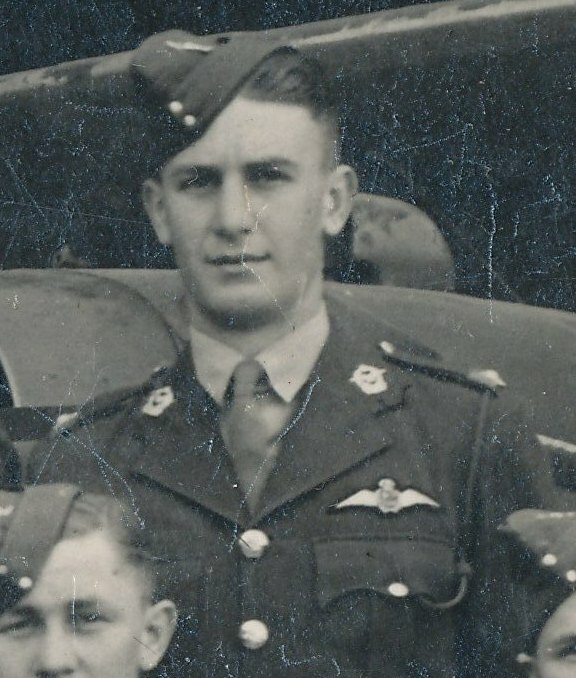 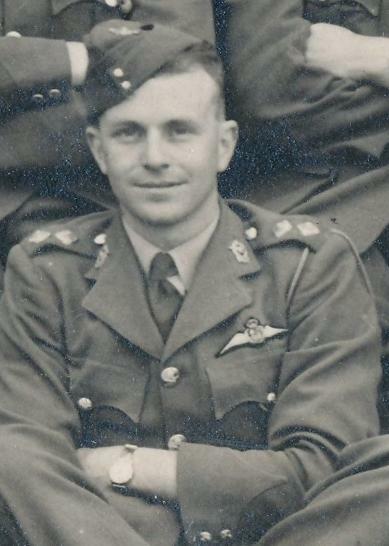 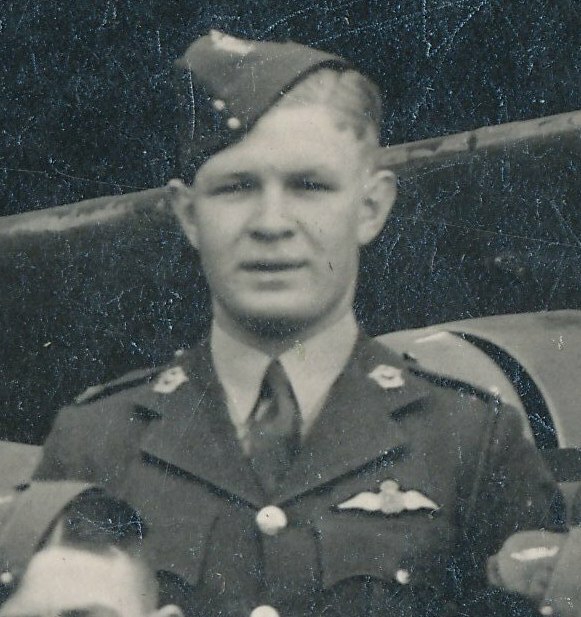 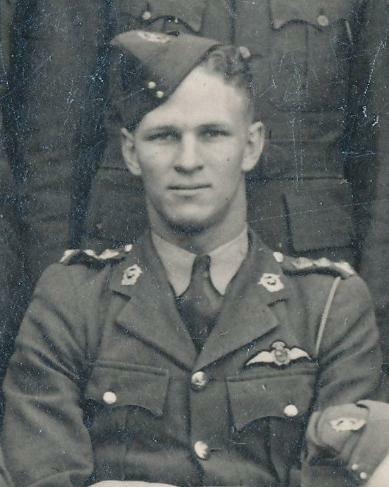 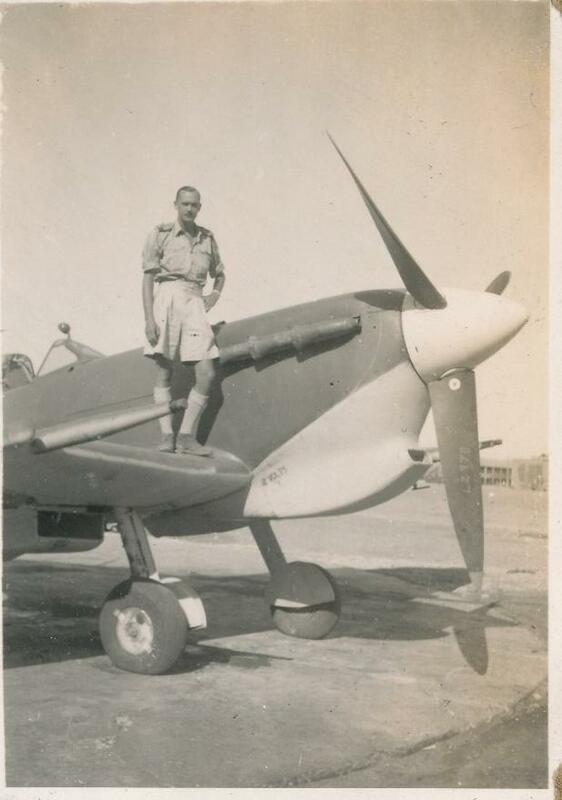 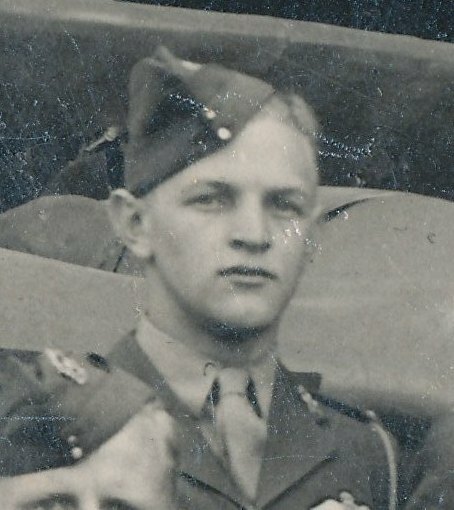 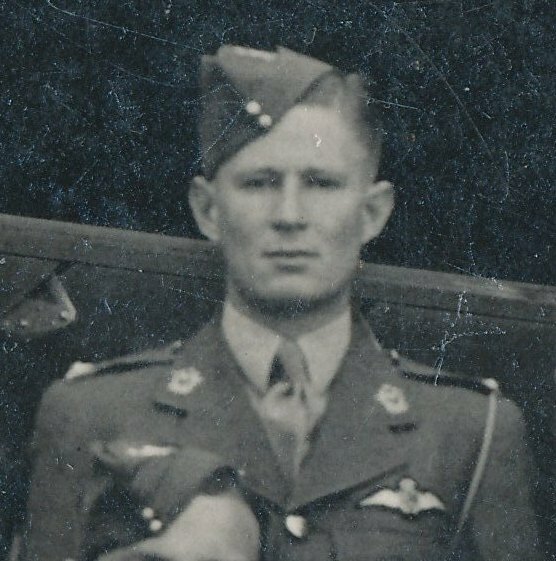 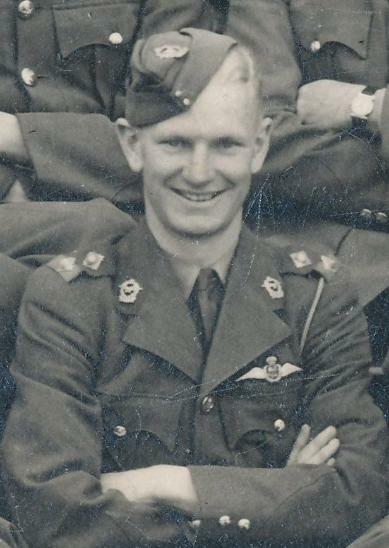 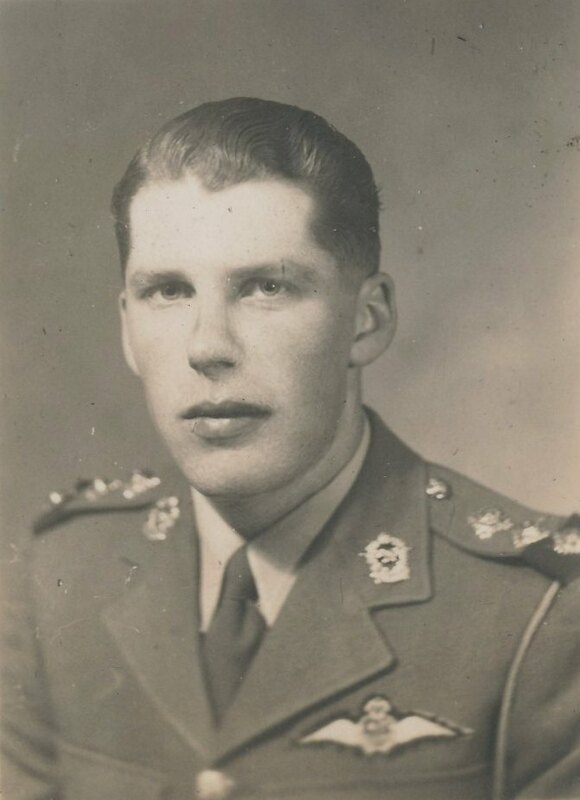 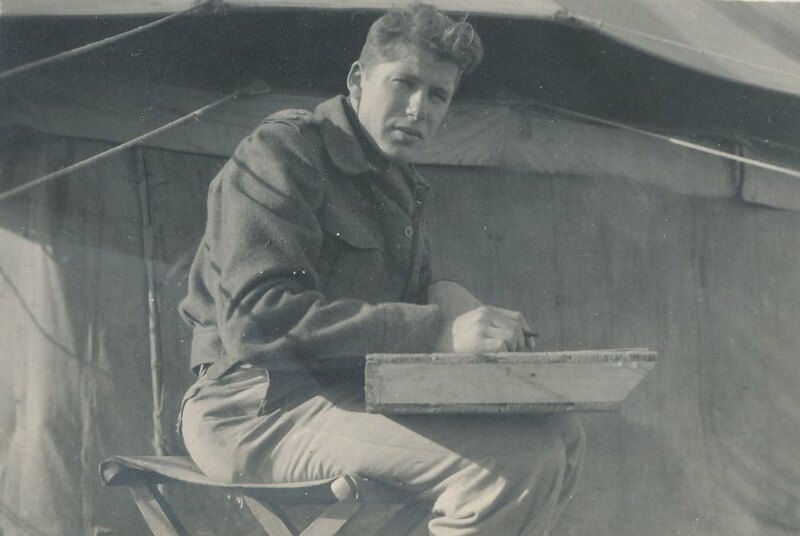 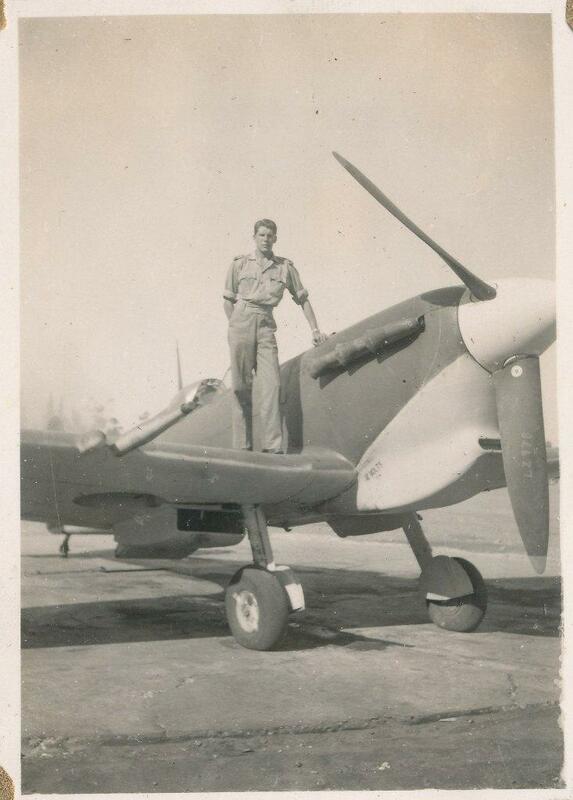 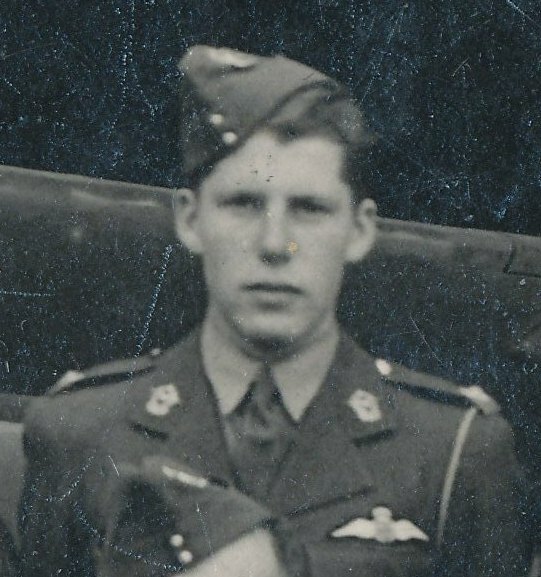 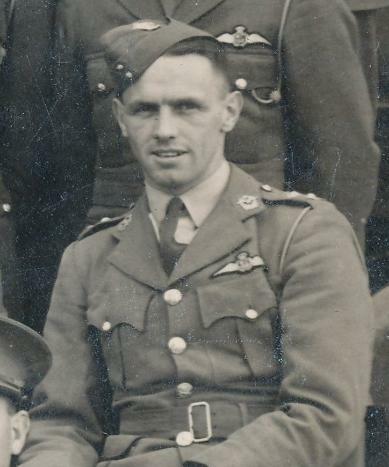 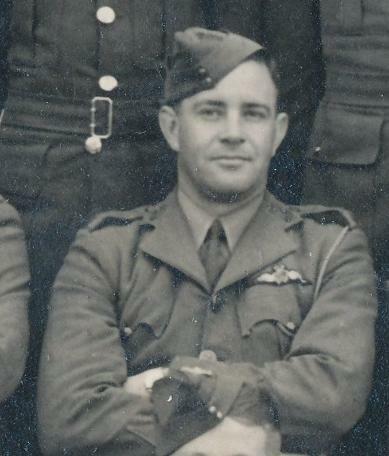 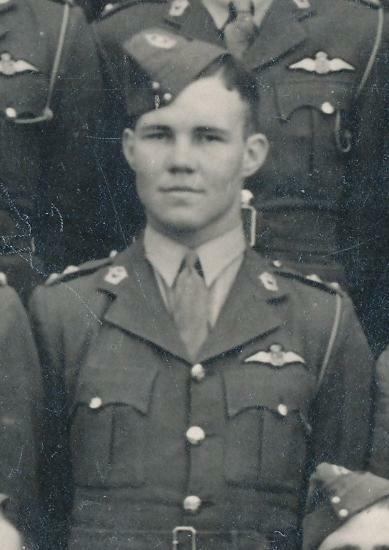 75 Harry Gaynor, OC of 2 sqdn. 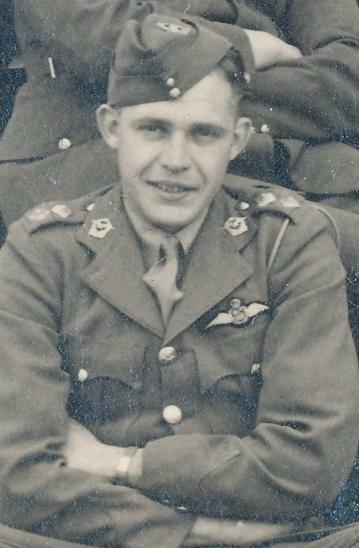 Harry was killed right in fronf of Fritz while they were low flying busy with a strafing run on an enemy transport. 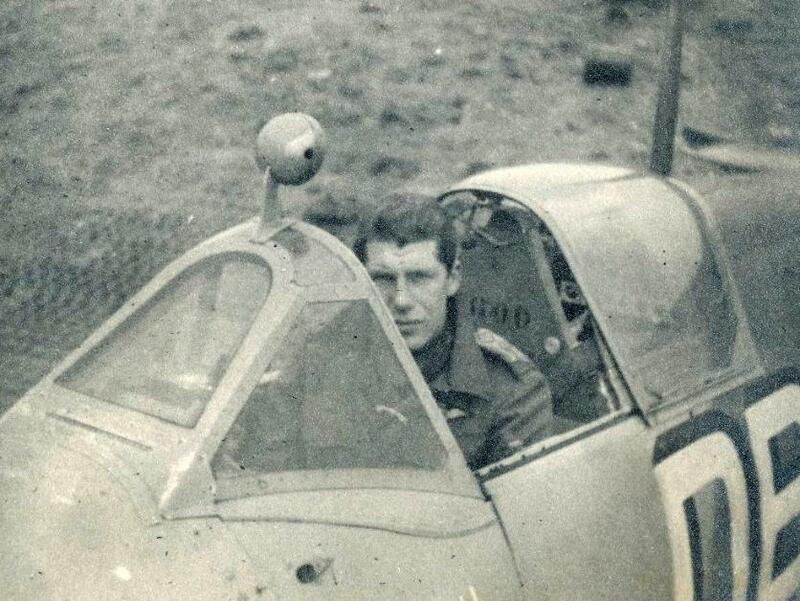 Fritz was Harry's number two on this sortie. 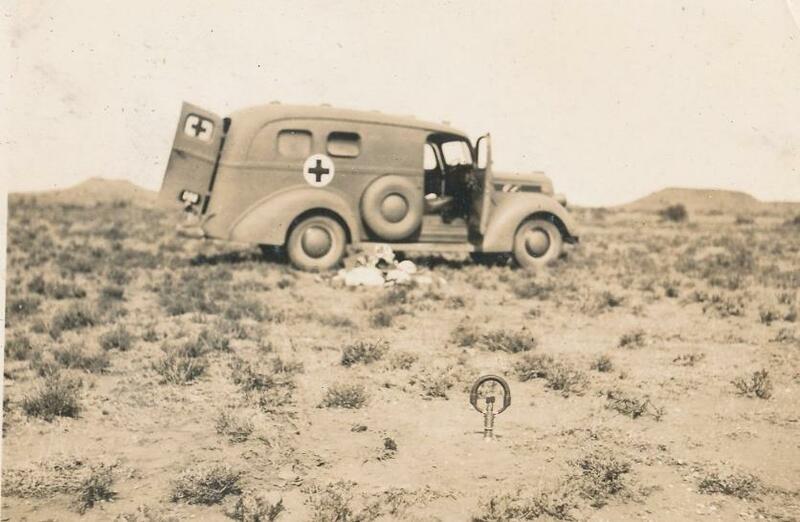 VW Jeep belonged to Joe and Fritz, they fitted Spit tyres to the VW. 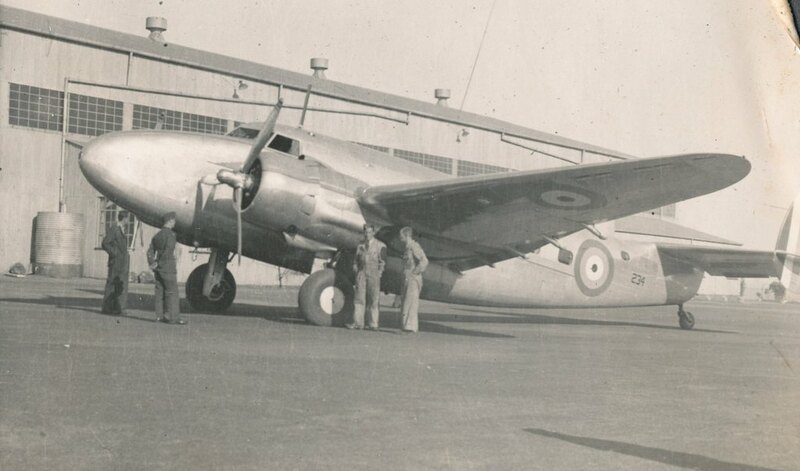 79 Youngsfield, 1939-1940. 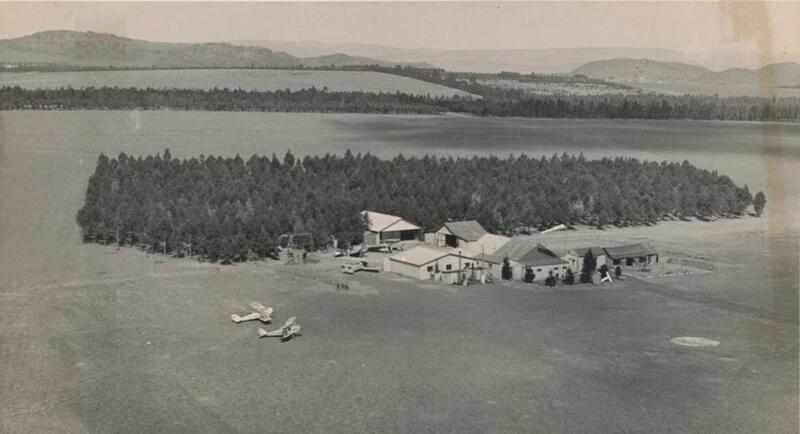 Wapiti and Tutors. 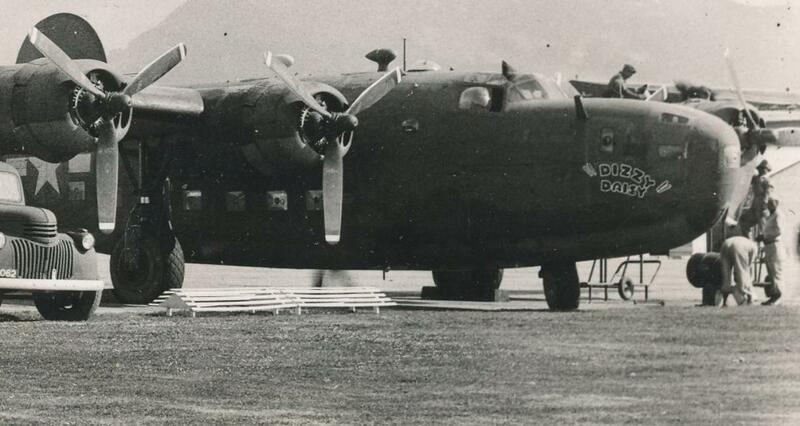 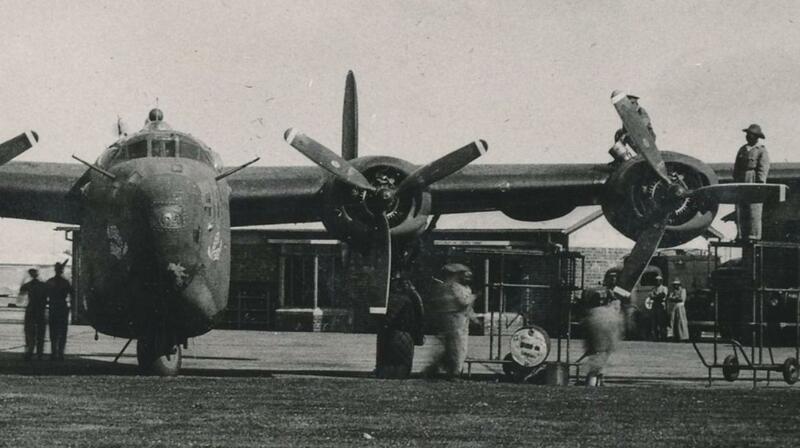 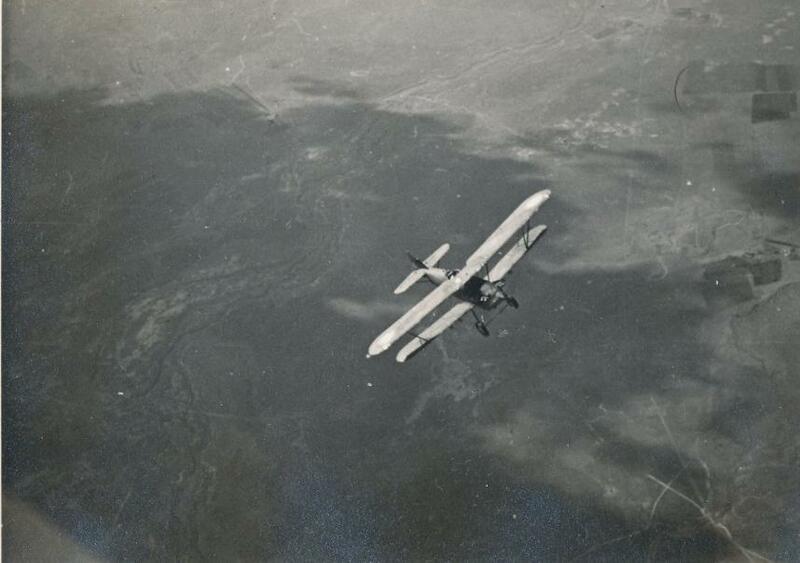 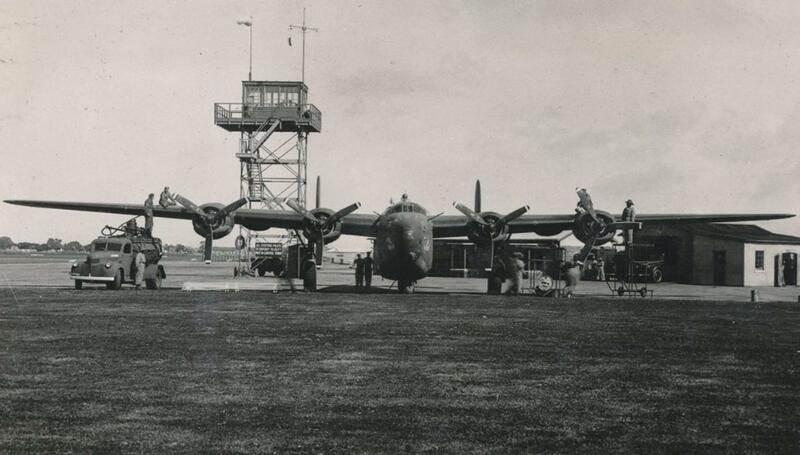 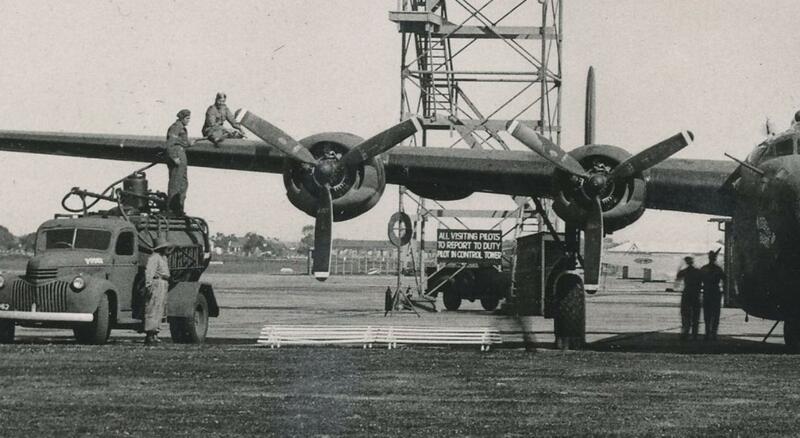 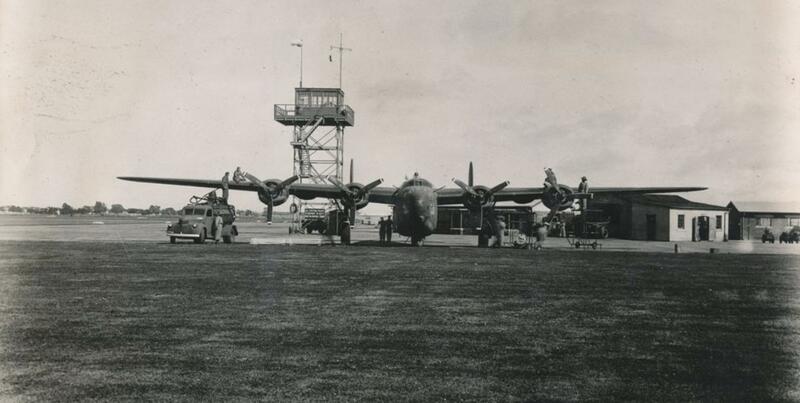 Wapiti was a bomber A/C. 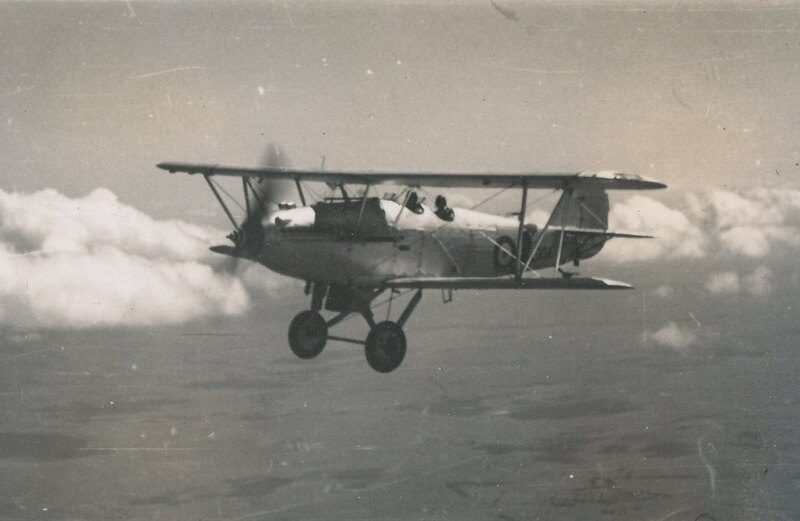 82 Leopard Moth, larger engine than Tiger, Gypsy six engine, foldable wings. 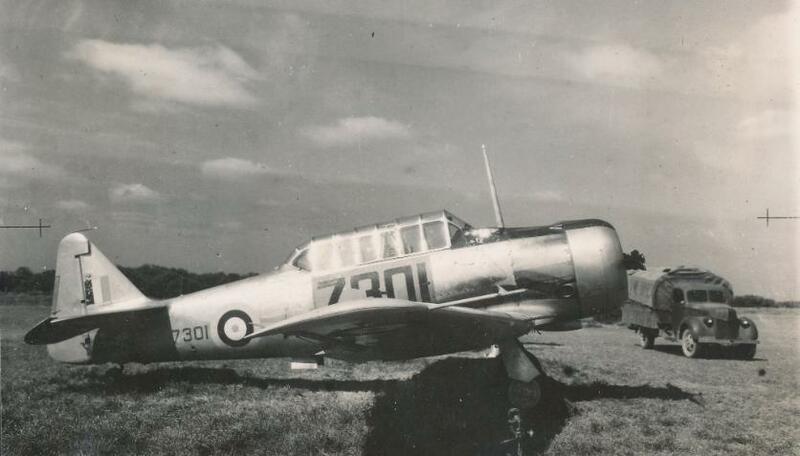 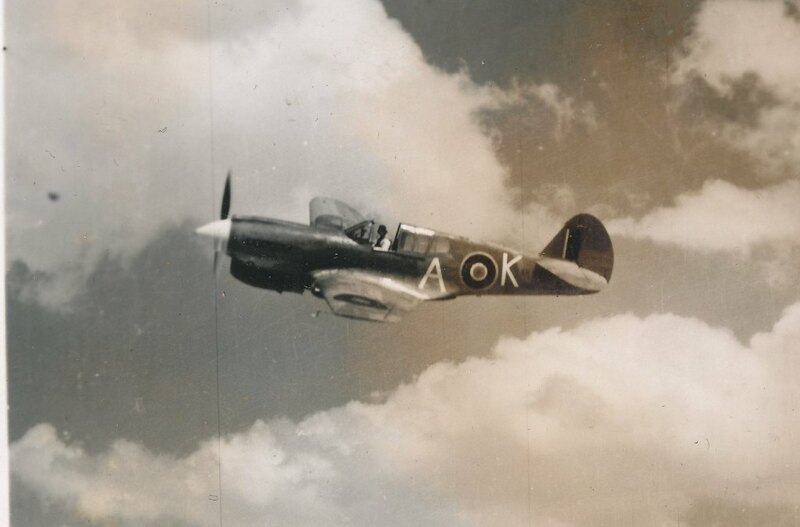 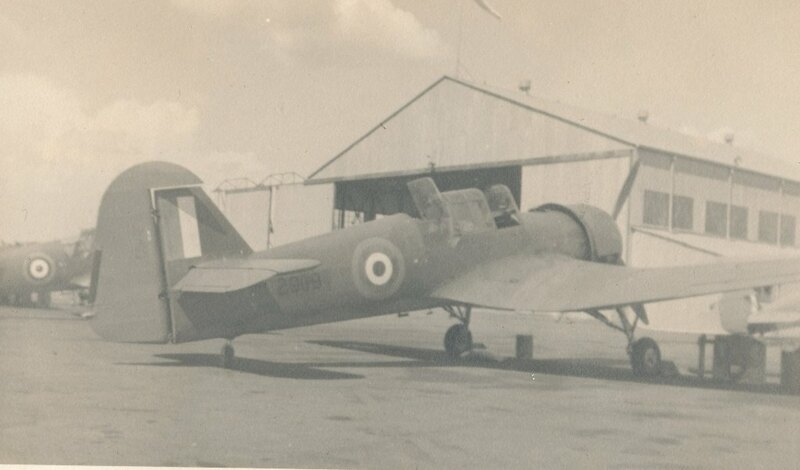 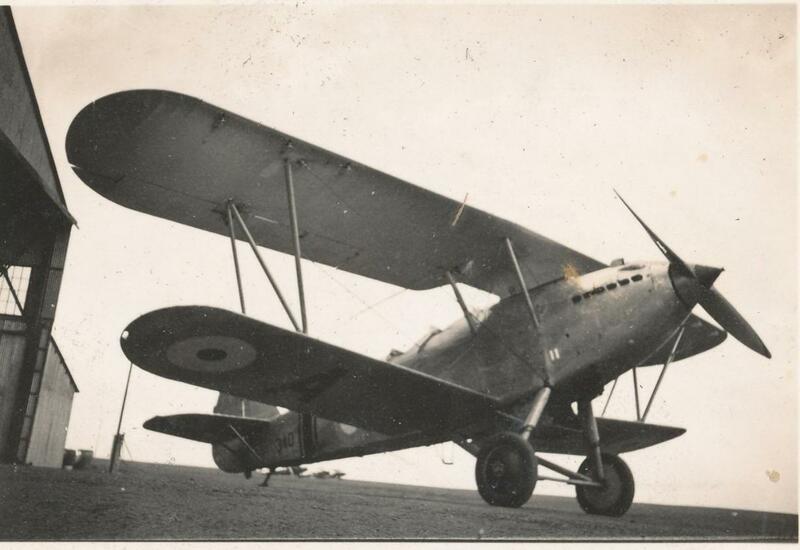 85 Airspeed Oxford, wooden airframe, adhesive joints were a big problem as there were many cases of delamination. 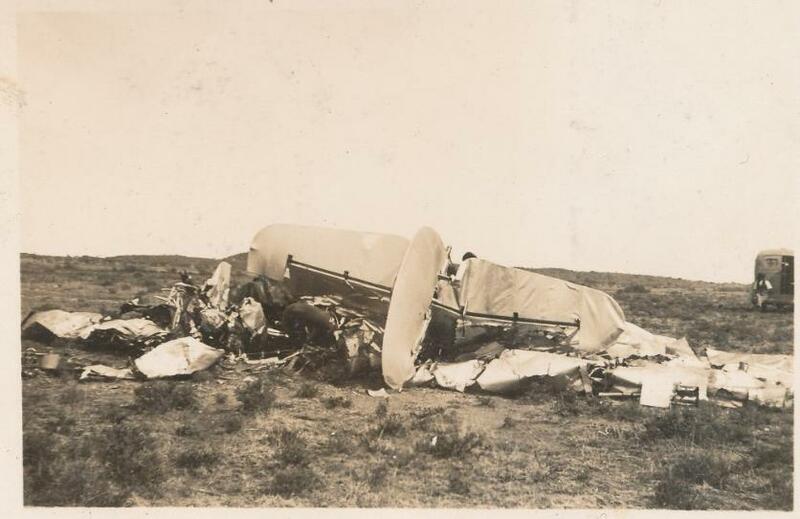 87 Miles Master, lots of structural problems regarding adhesive failures. 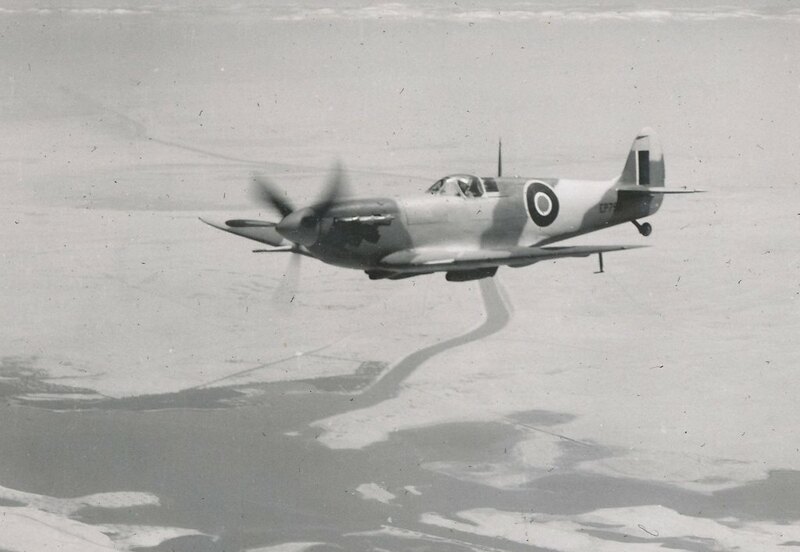 Great performance though, better than Hurricane in many respects. 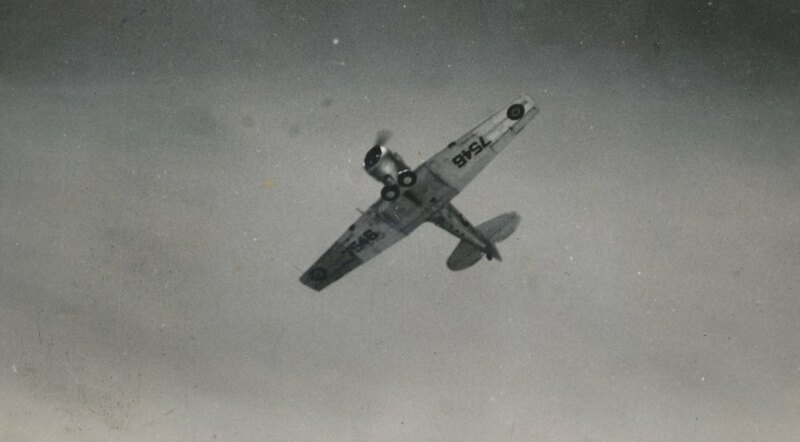 89 Miles Master, very bad position for the instructor. 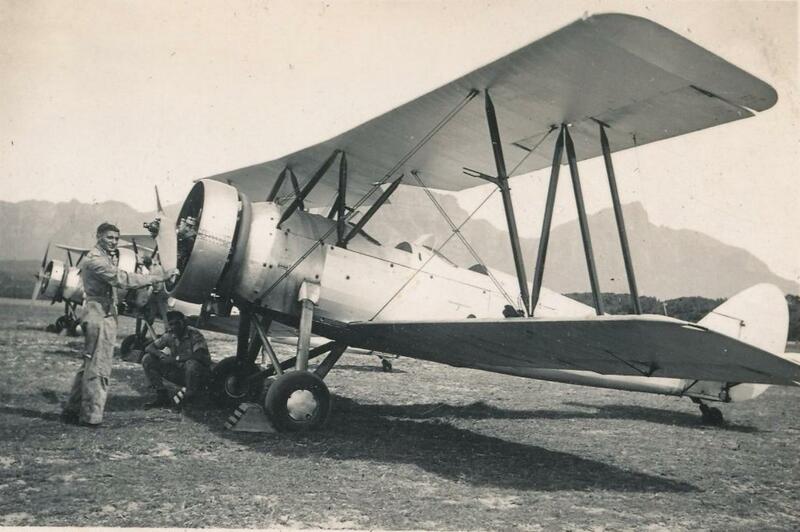 93 Visitor Maryland bomber at Waterkloof. 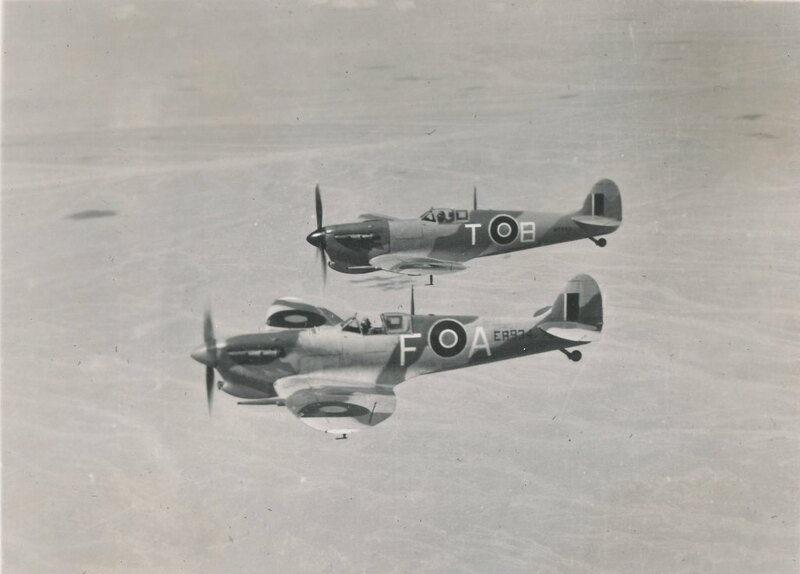 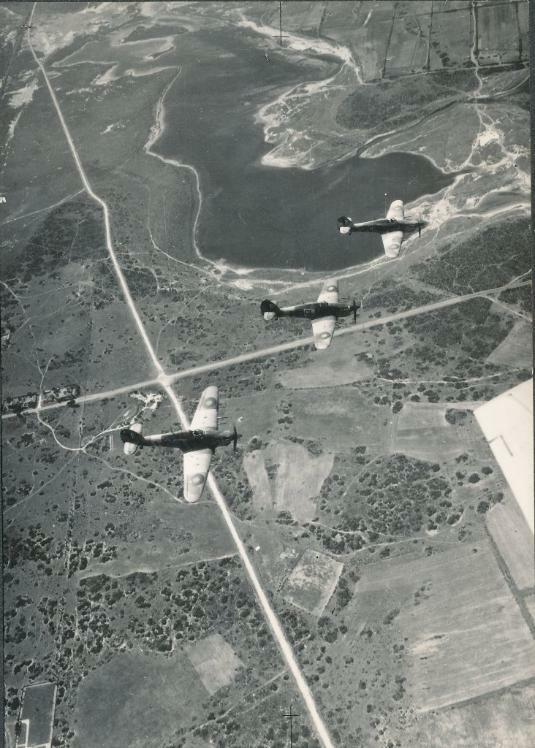 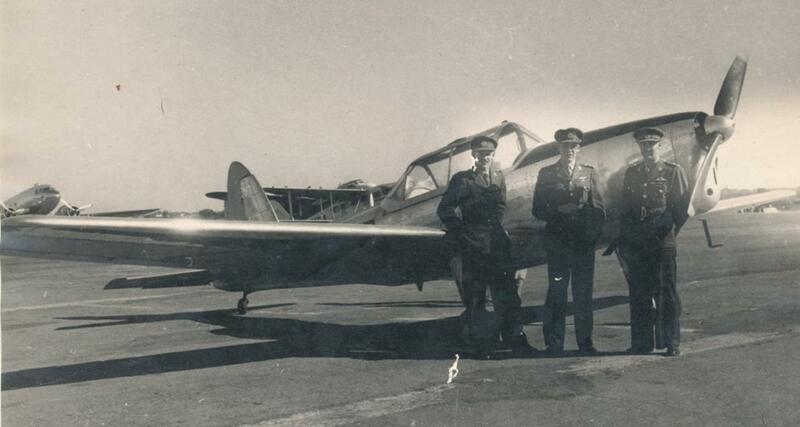 111 Fritz, Pretorius and Badenhorst (Ex OC of CFS Bloemfontein); they did formation aerobatic flying after the war. 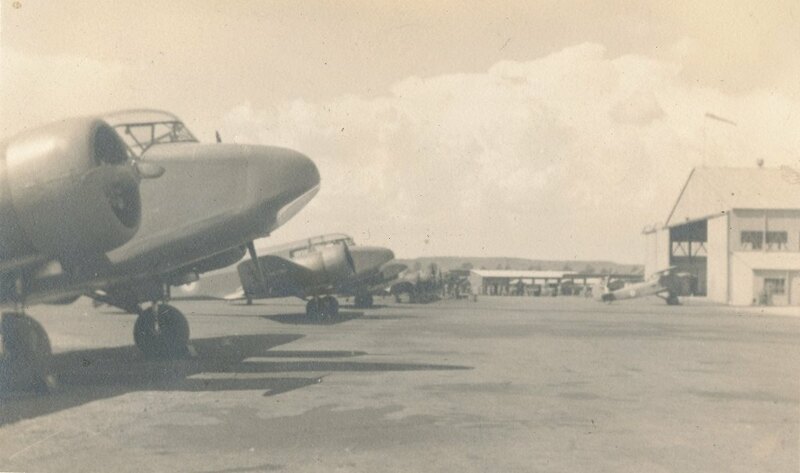 This pic was taken in Rhodesia at Komalo airport. 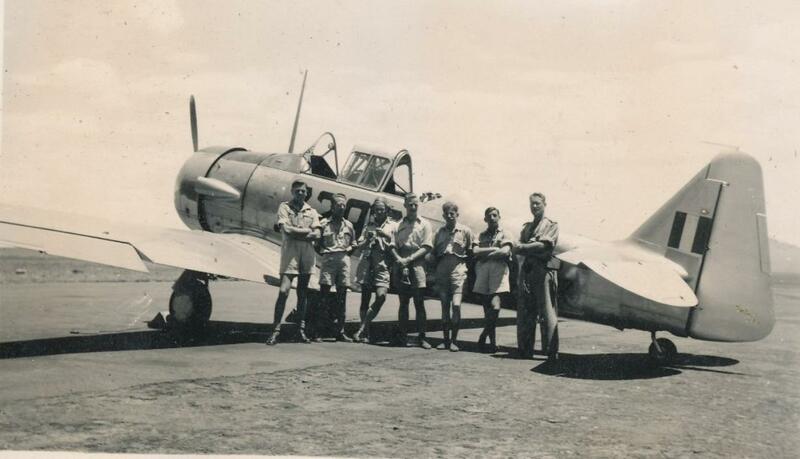 112 Chipmunk; Tommy Vansten, Fritz and Badie Badenhorst, Aerobatic formation flying team in Rhodesia. 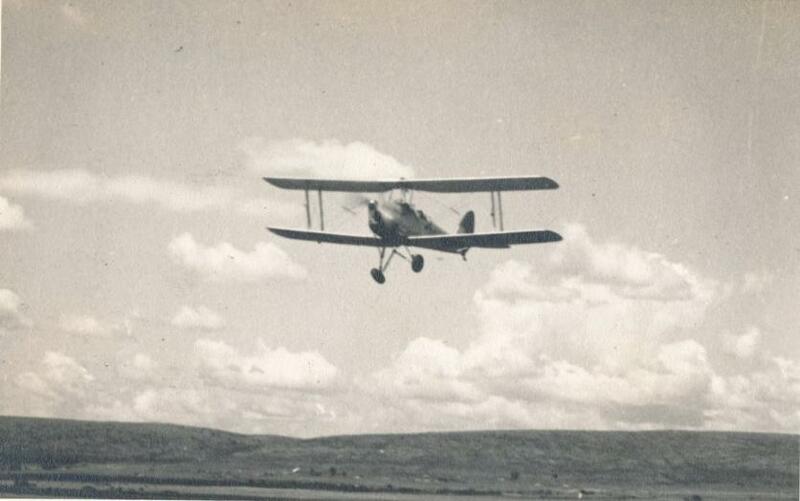 113 Badie Badenhorst flying pic taken by Fritz. 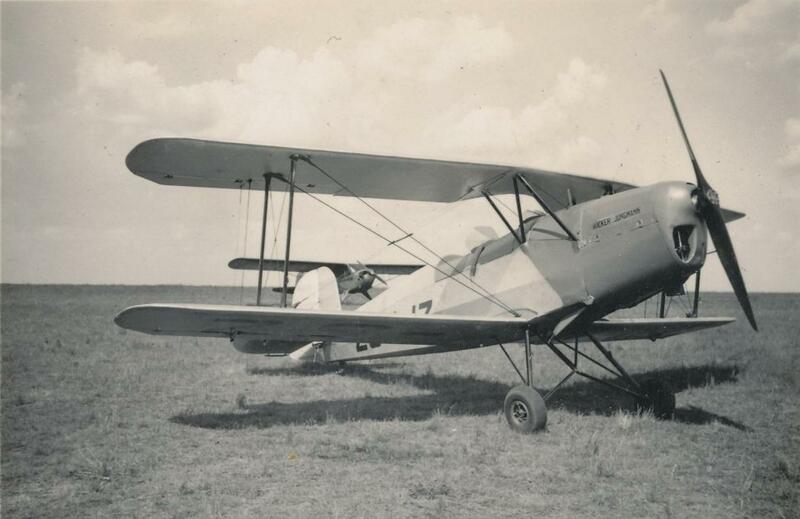 121 Rearwind sportster that Fritz got his civil licence in 1939.